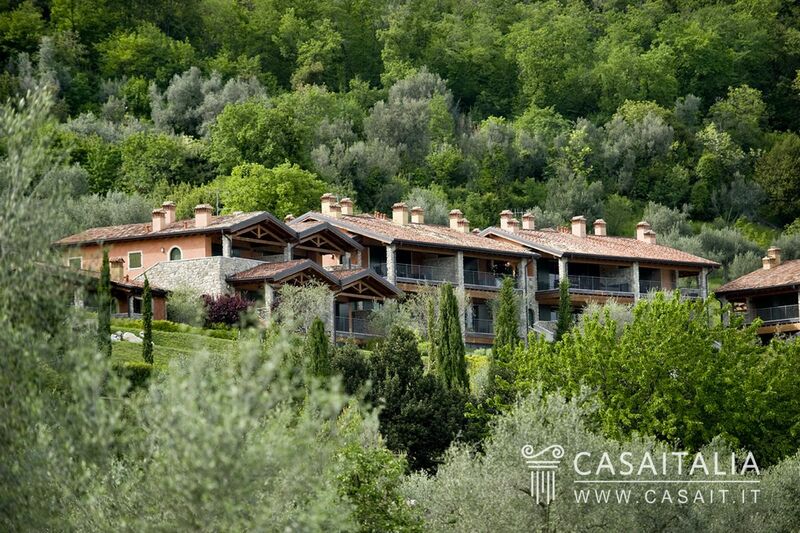 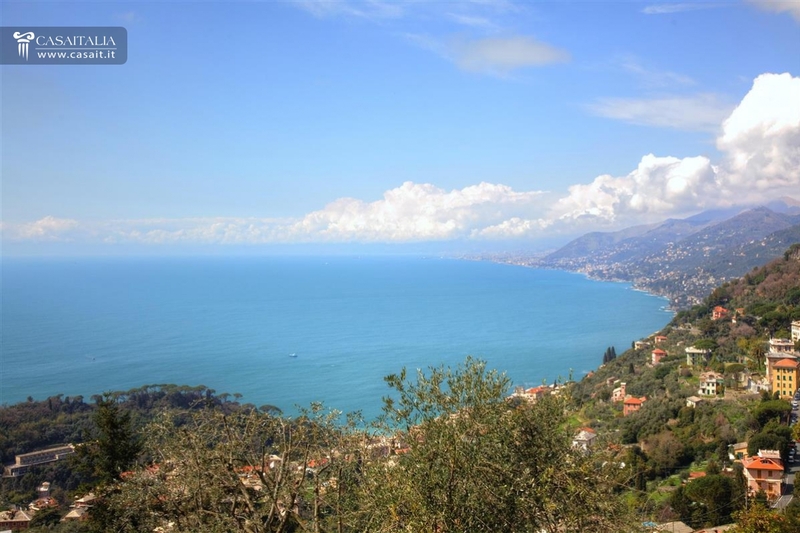 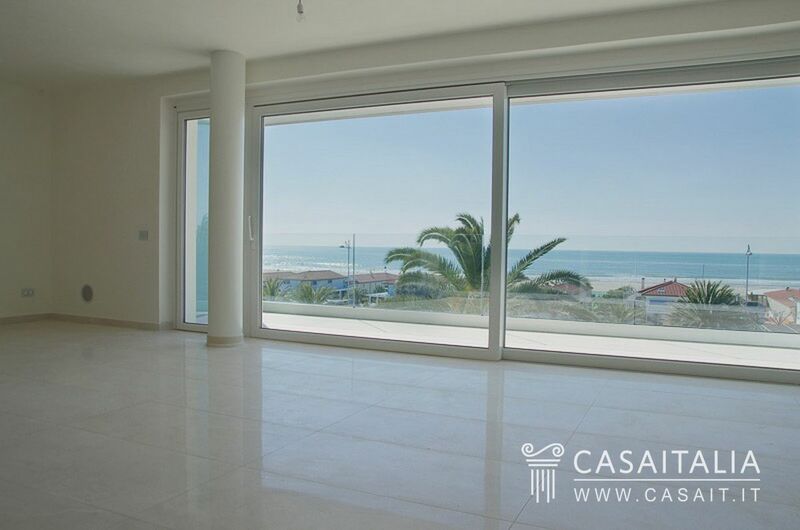 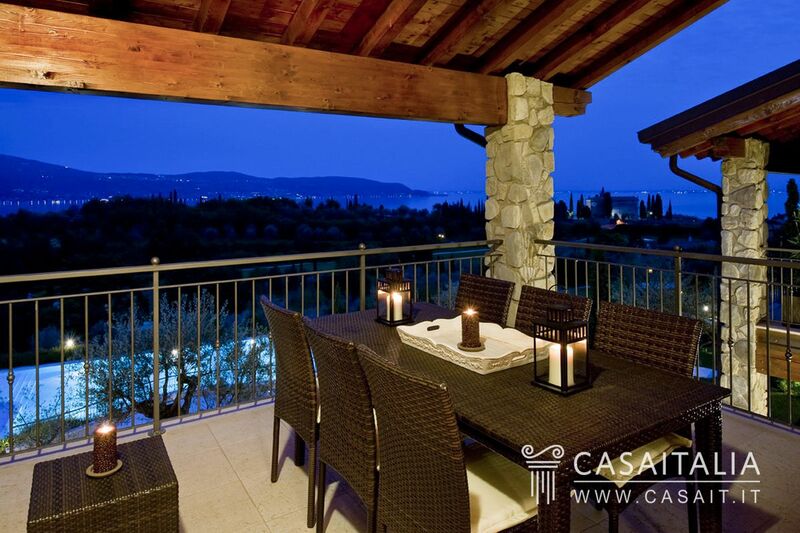 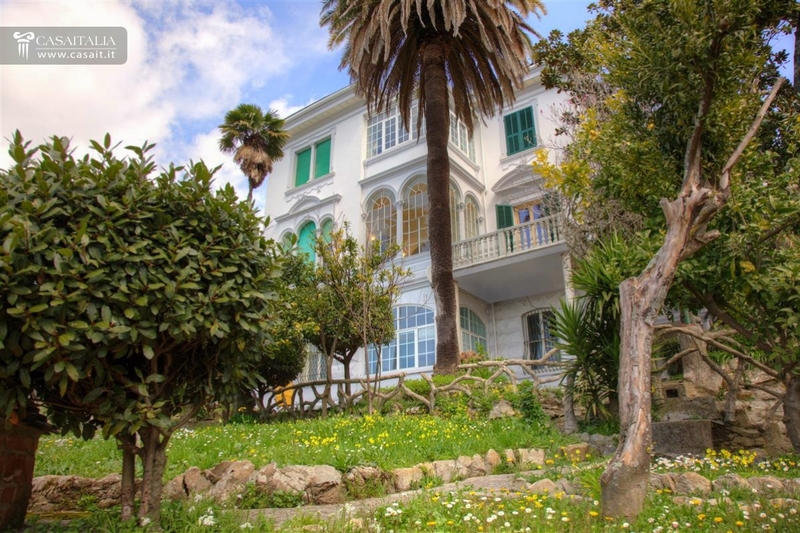 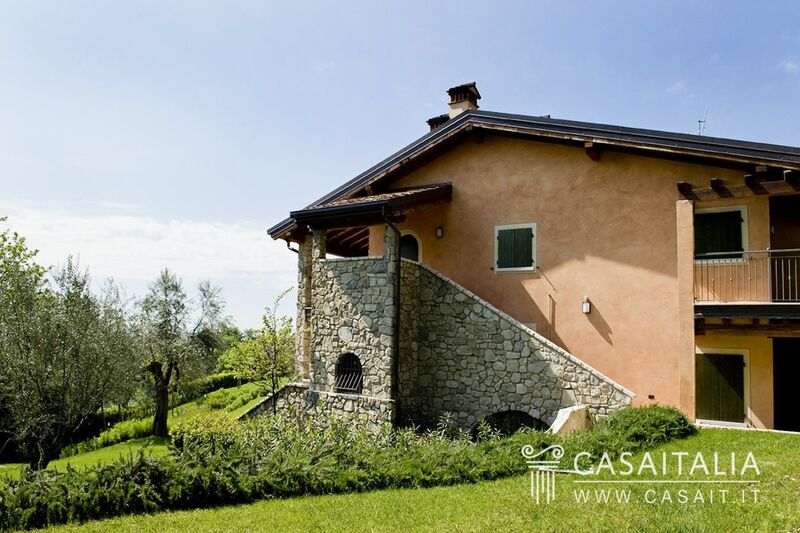 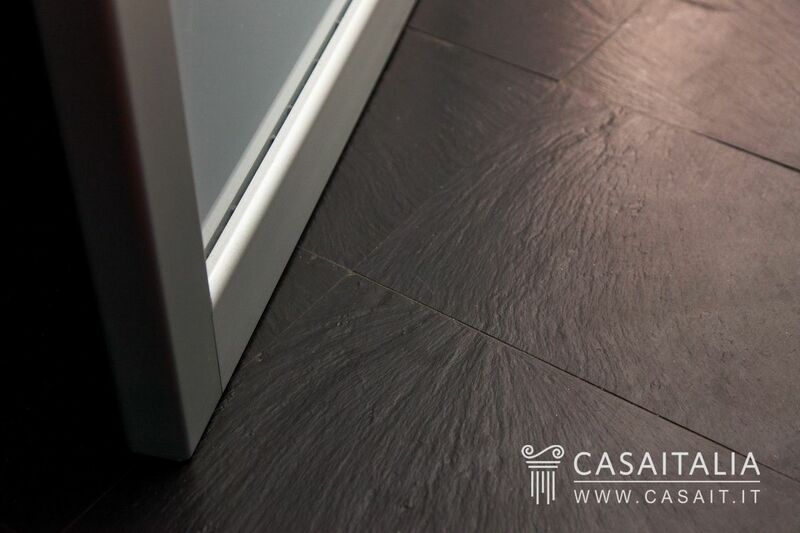 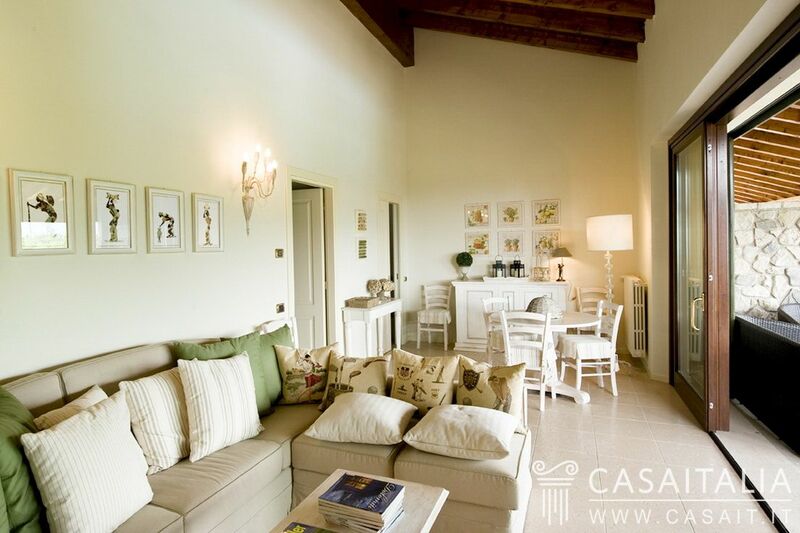 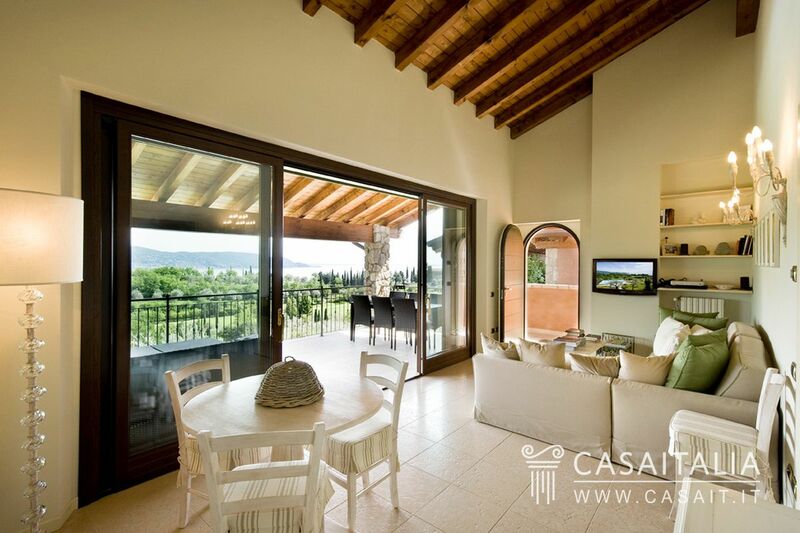 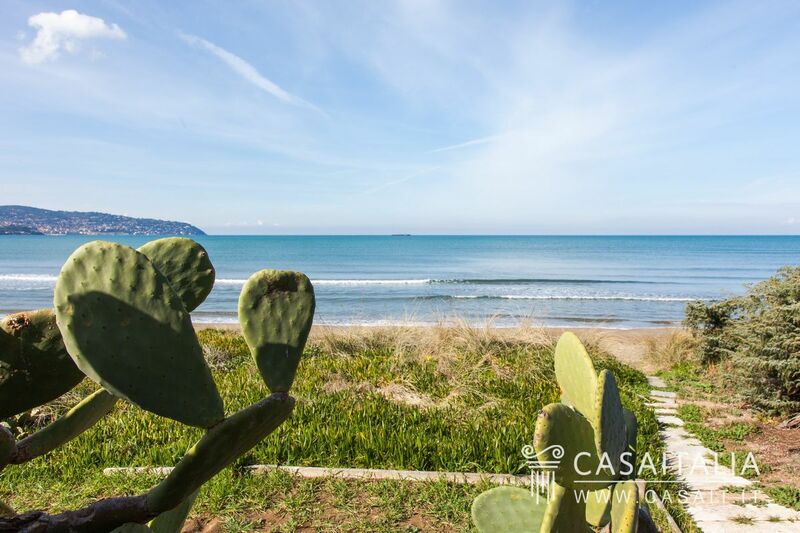 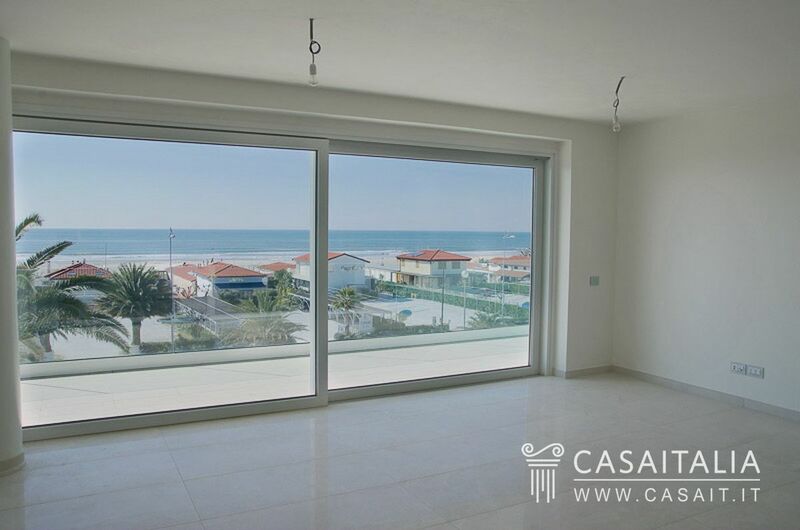 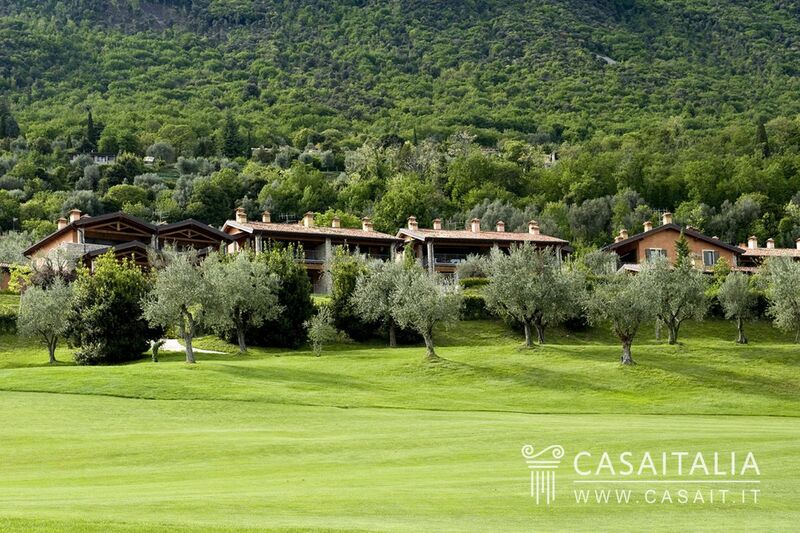 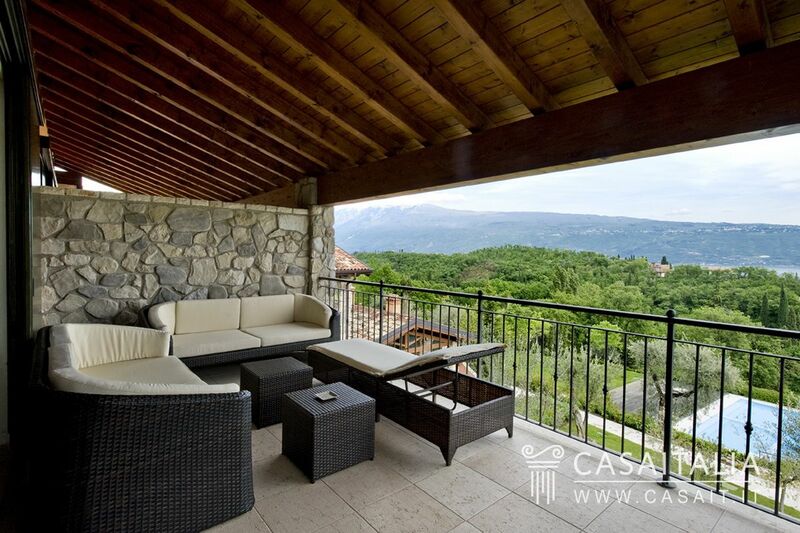 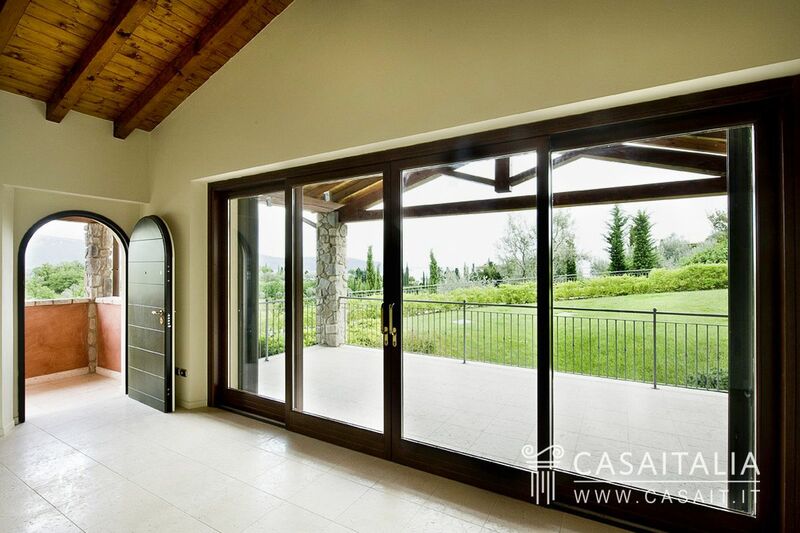 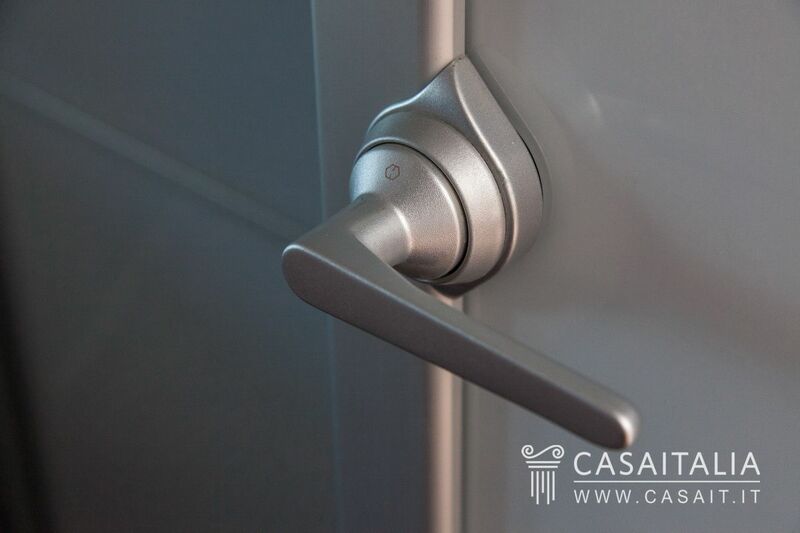 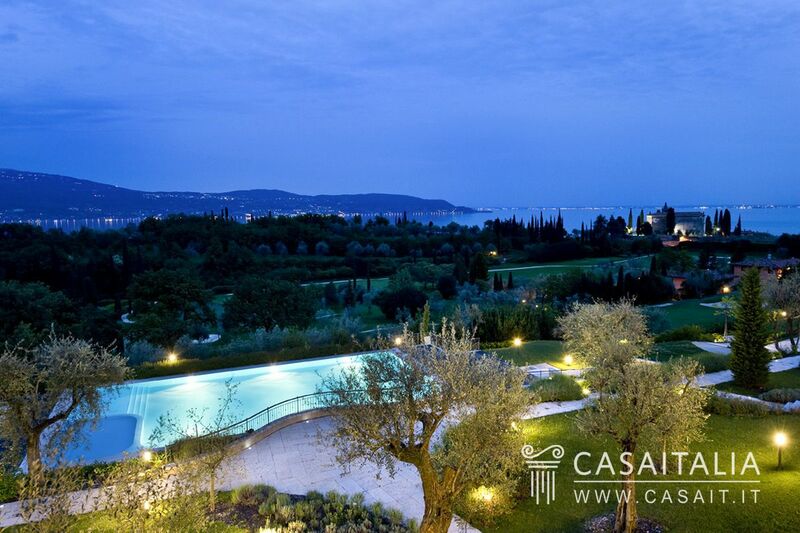 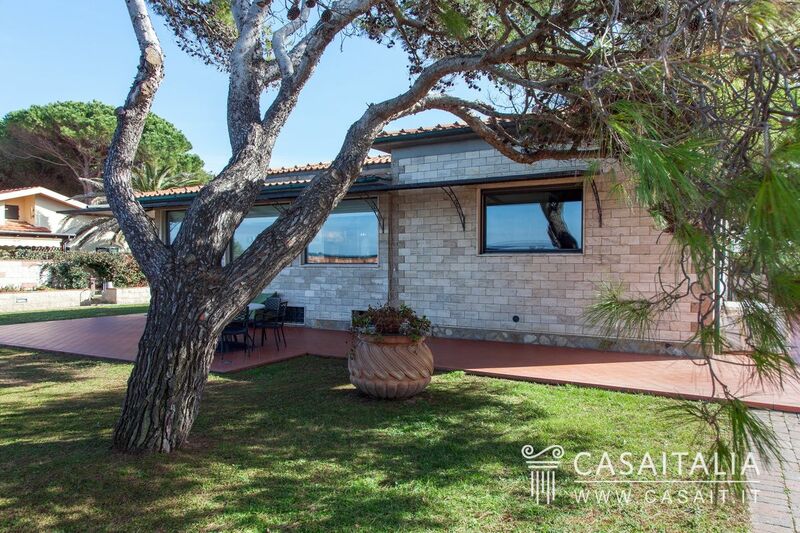 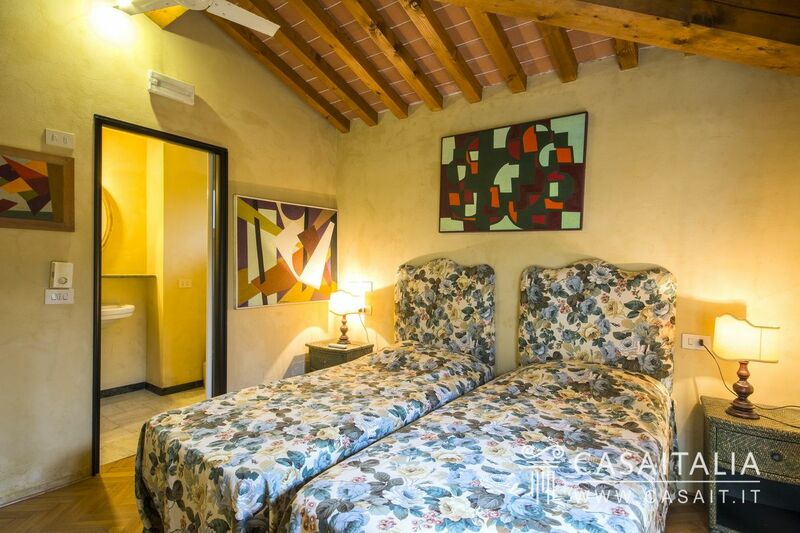 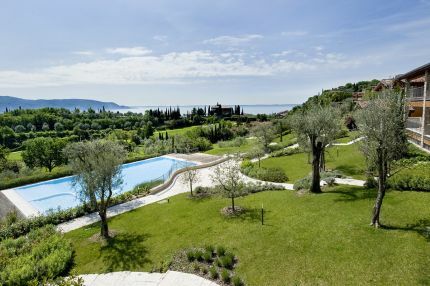 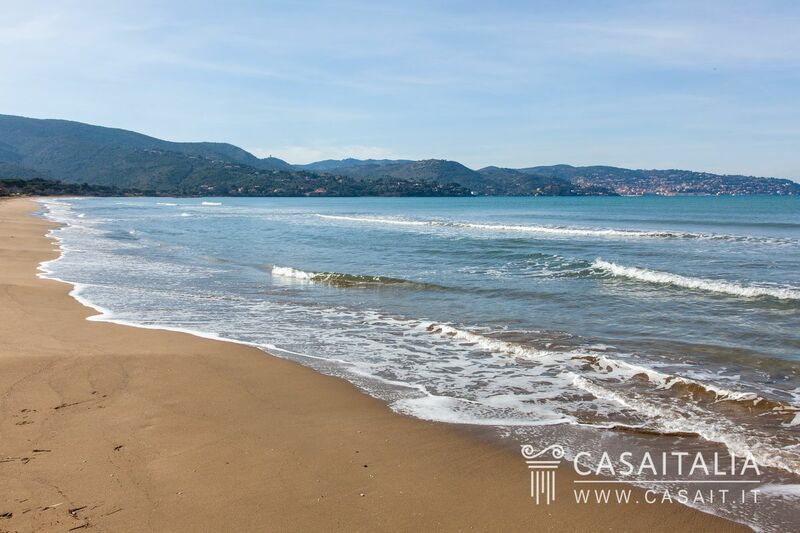 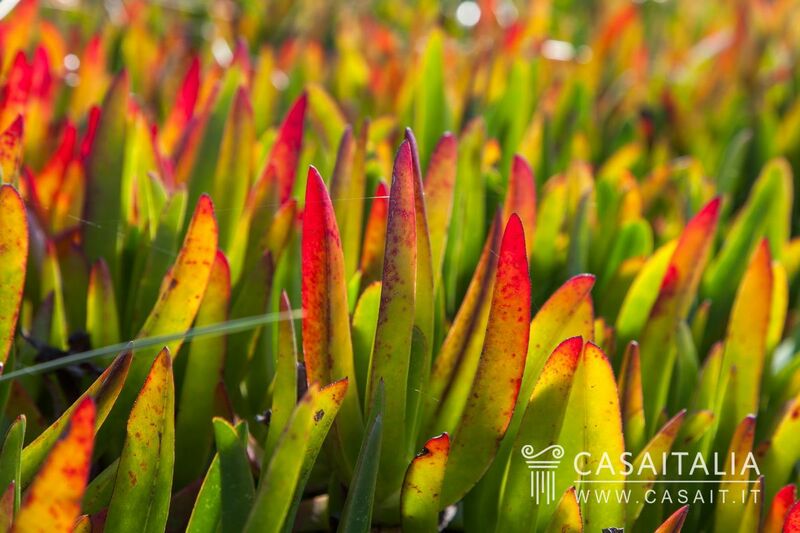 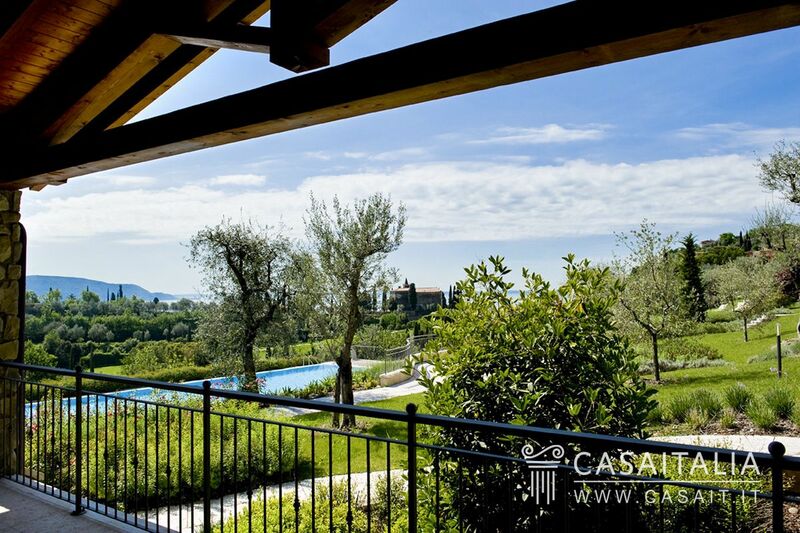 Villa with over 1,200 sq.m of private garden and direct access to Giannella beach and the sea. 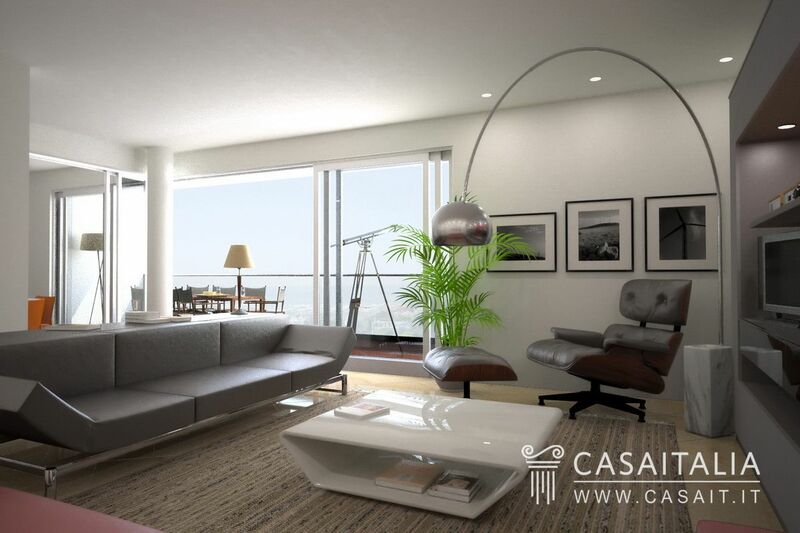 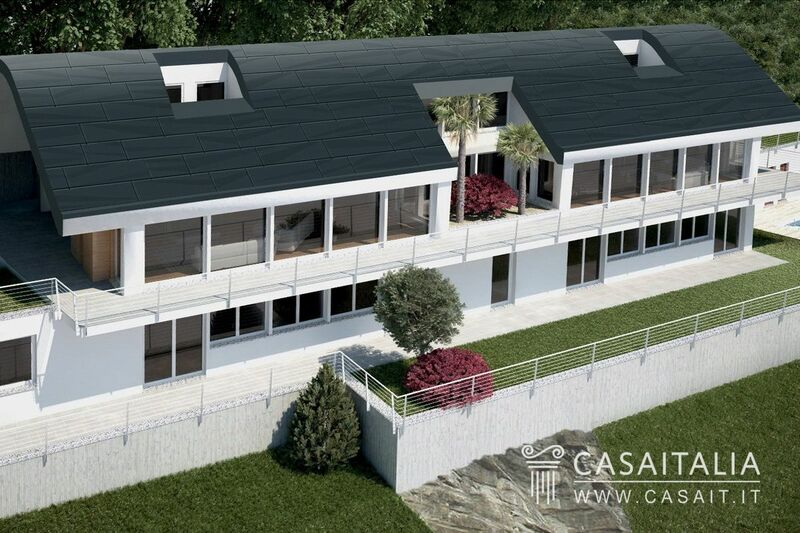 Total surface area of 186 sq.m over two floors, with living room with fireplace, kitchen, 2 bedrooms, 3 bathrooms and storage areas. 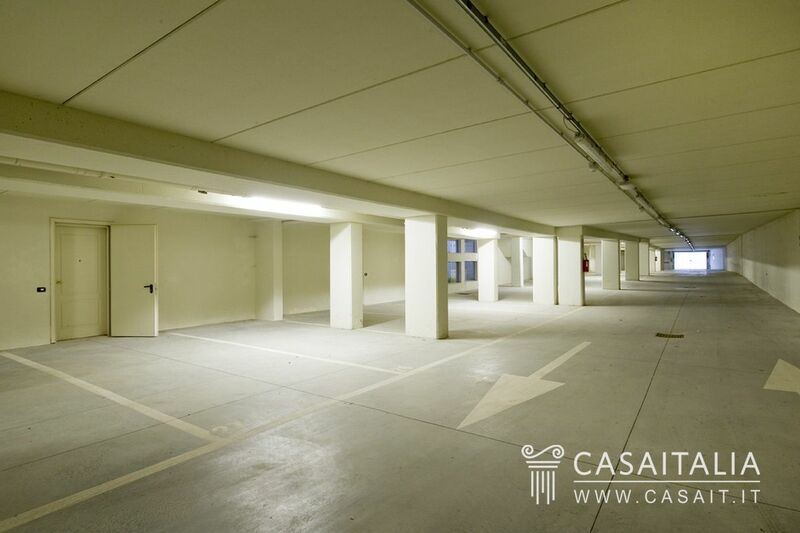 23 sq.m garage. 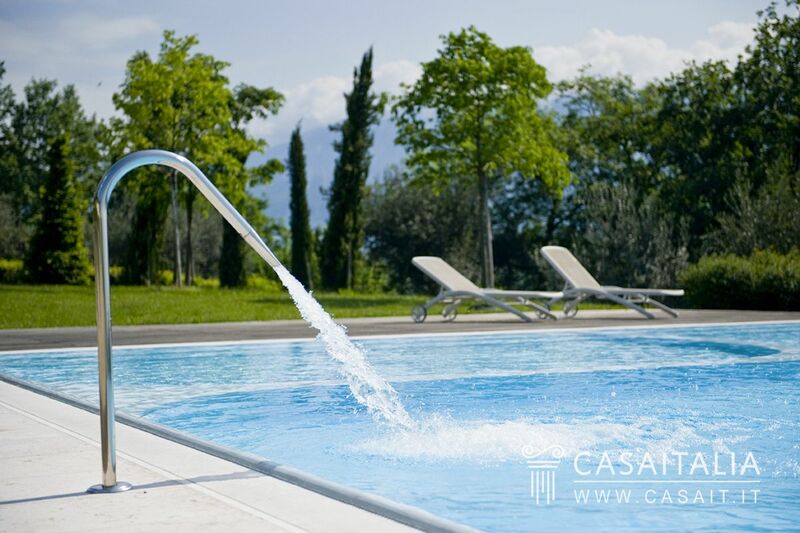 Opportunity to build a pool. 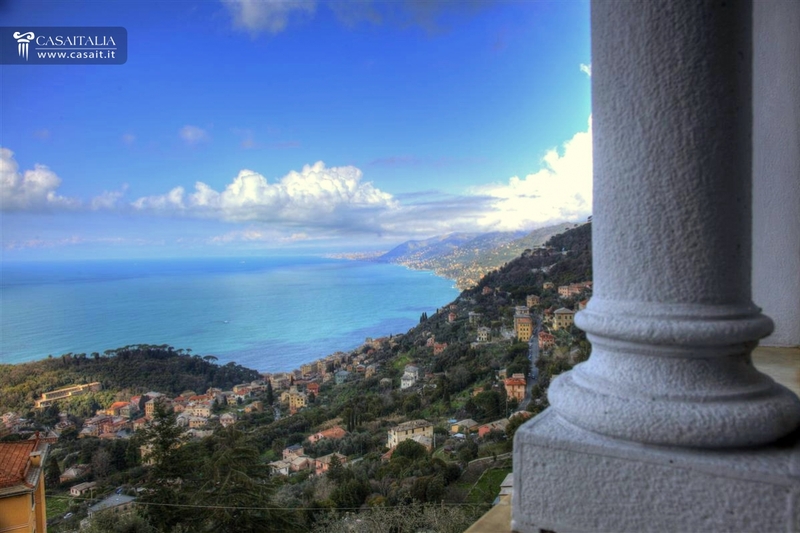 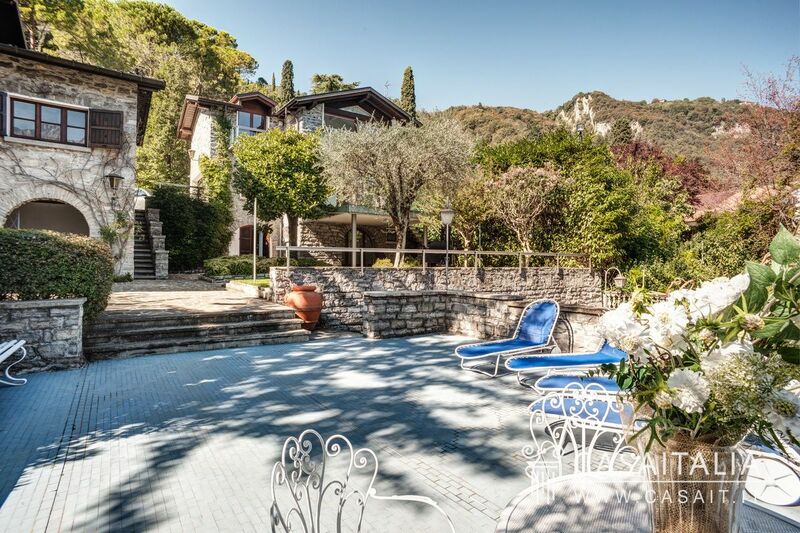 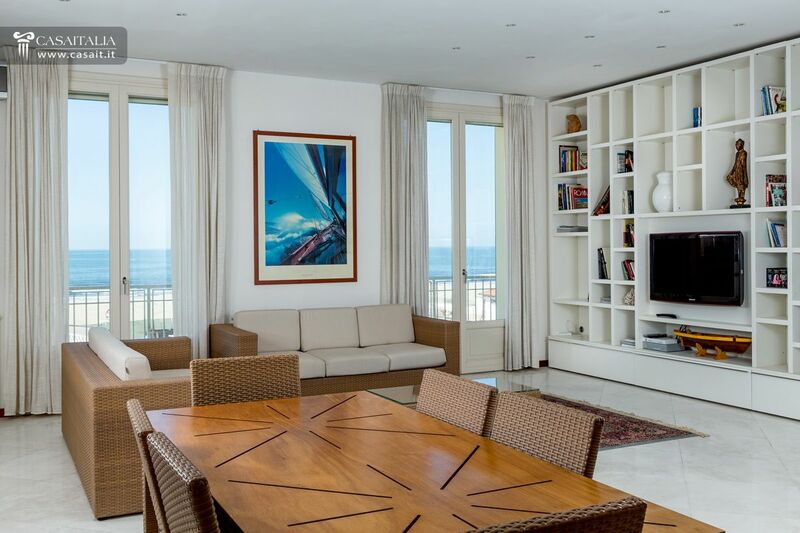 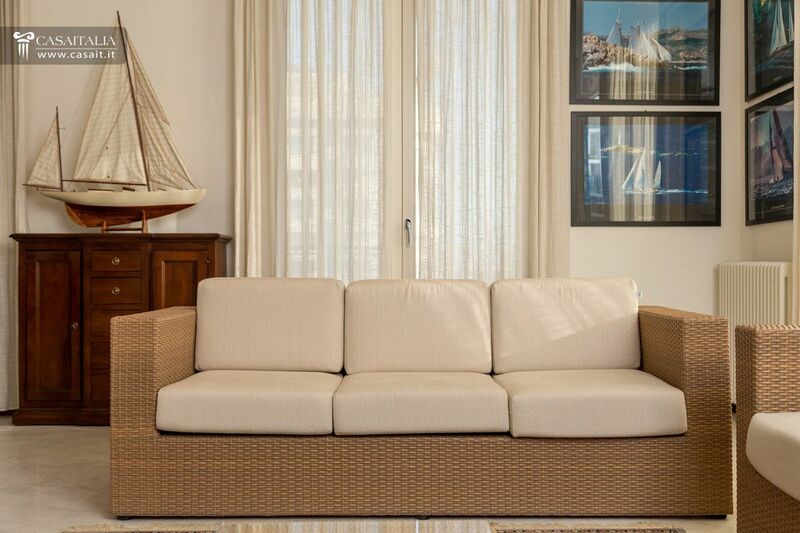 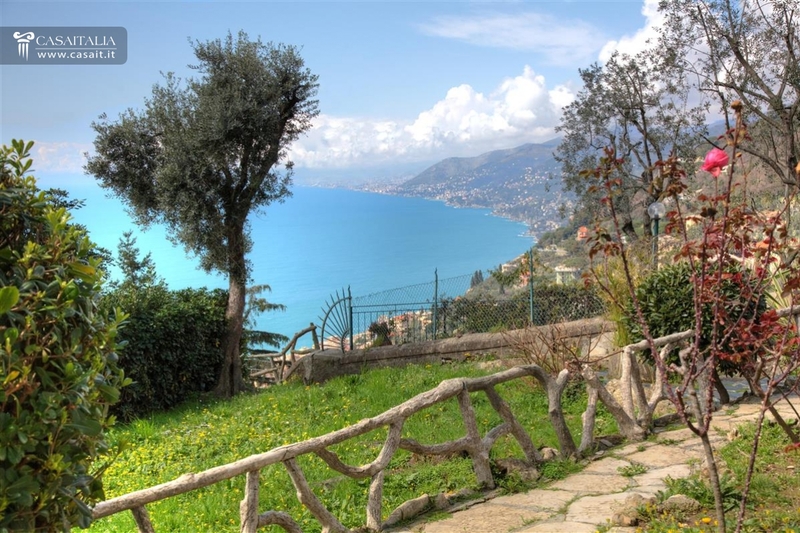 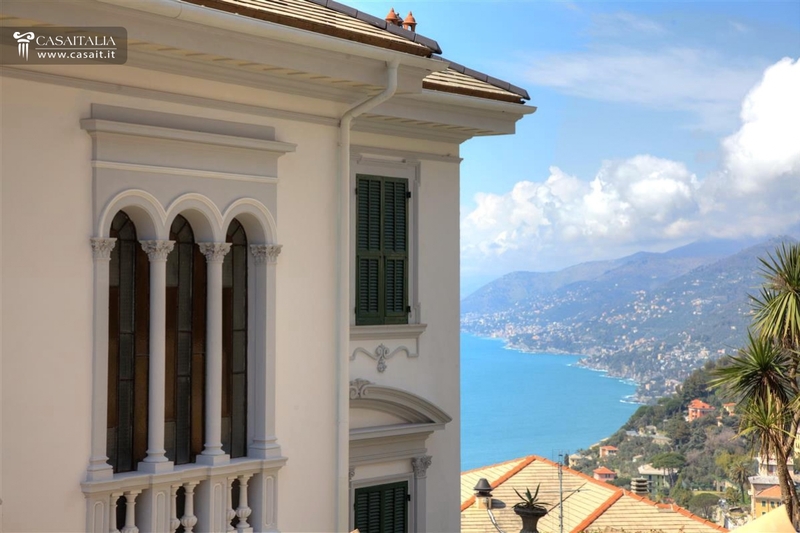 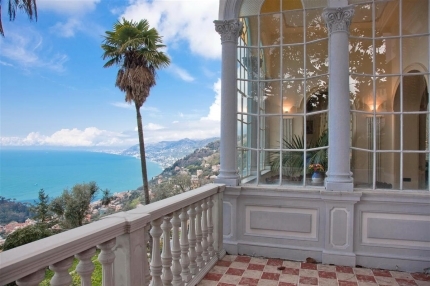 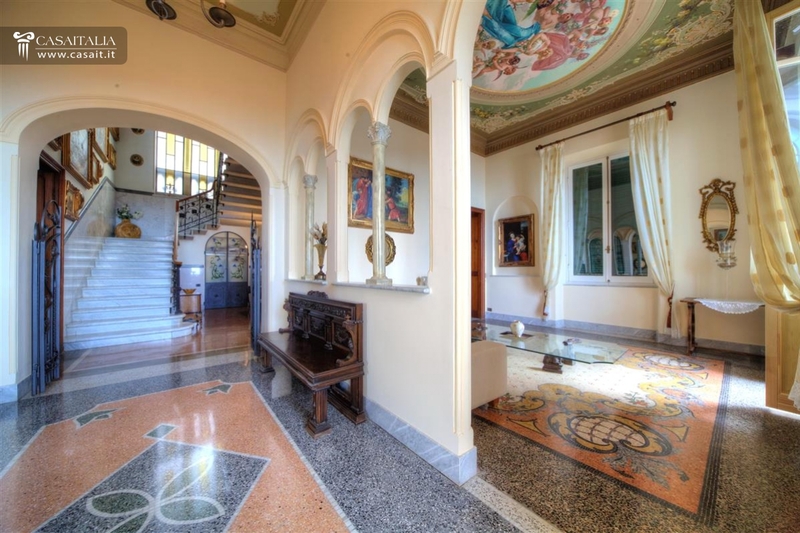 Luxury liberty style villa between Camogli and Santa Margherita Ligure, 14 km from Portofino with panoramic sea view. 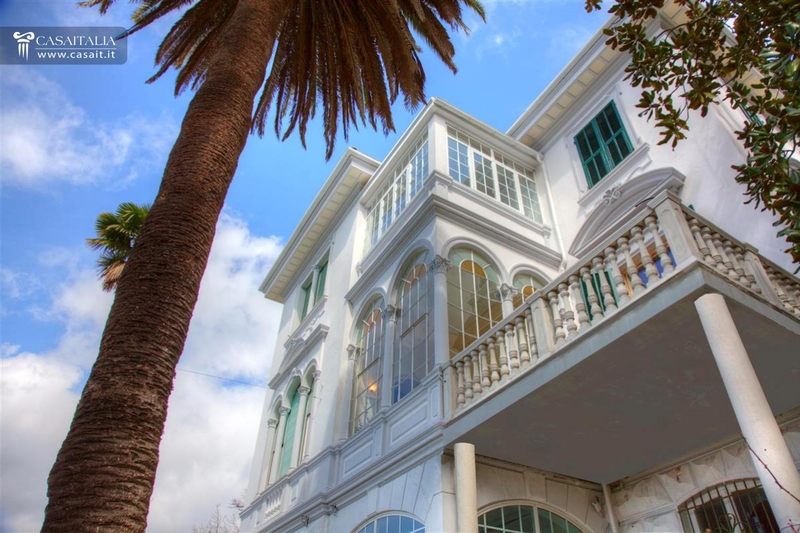 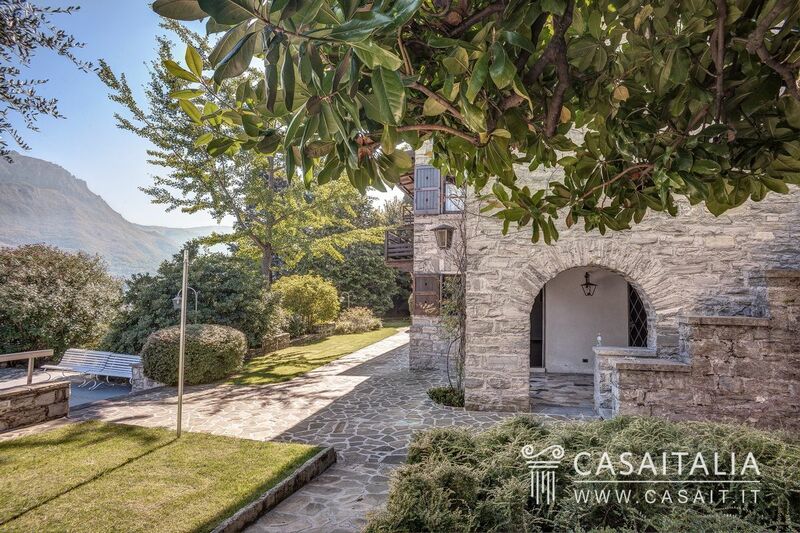 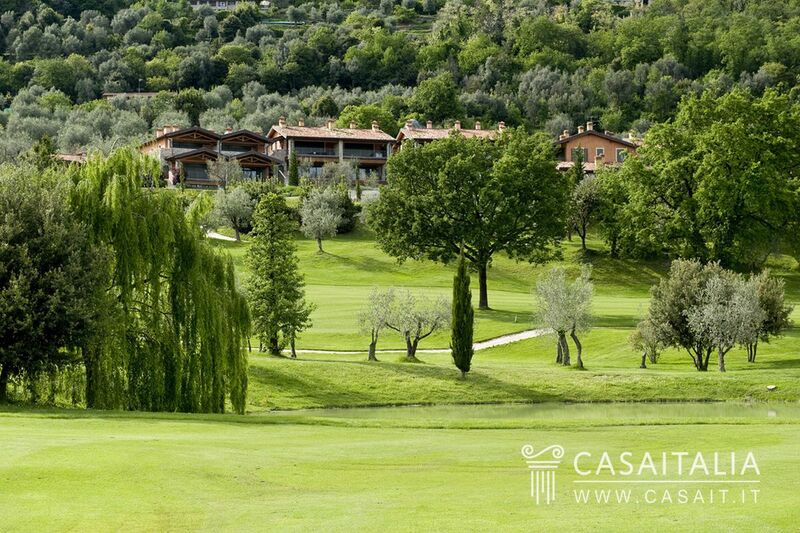 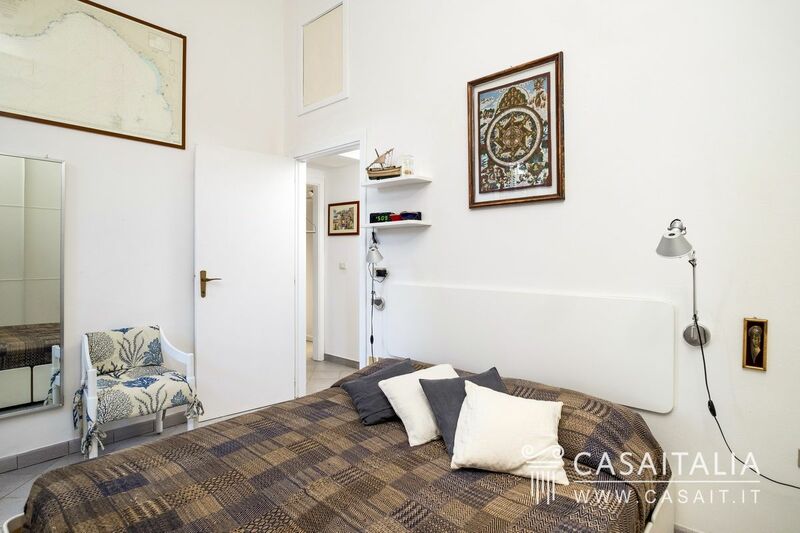 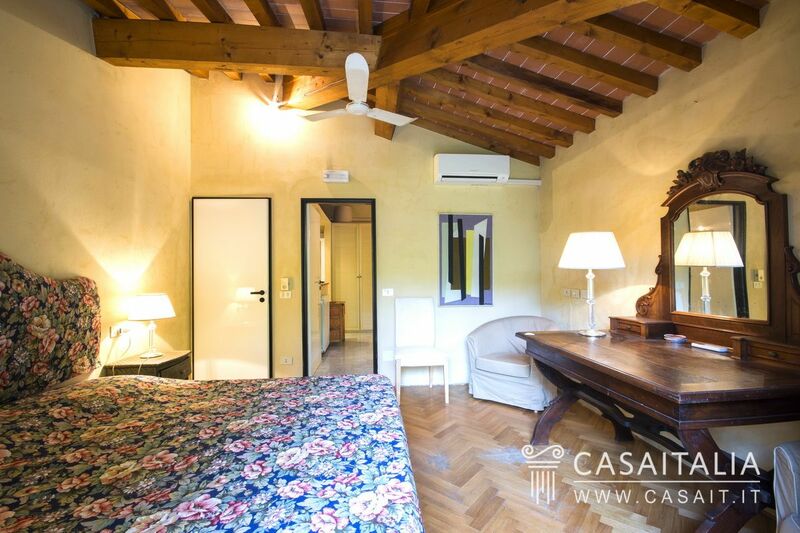 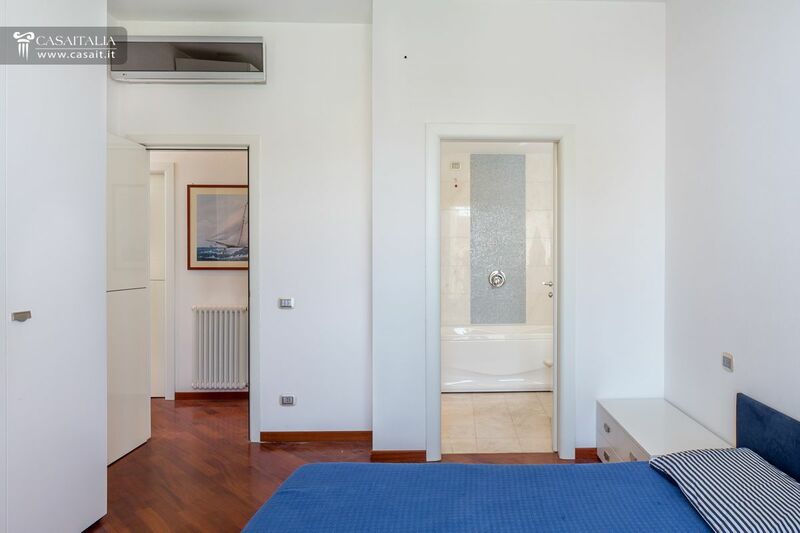 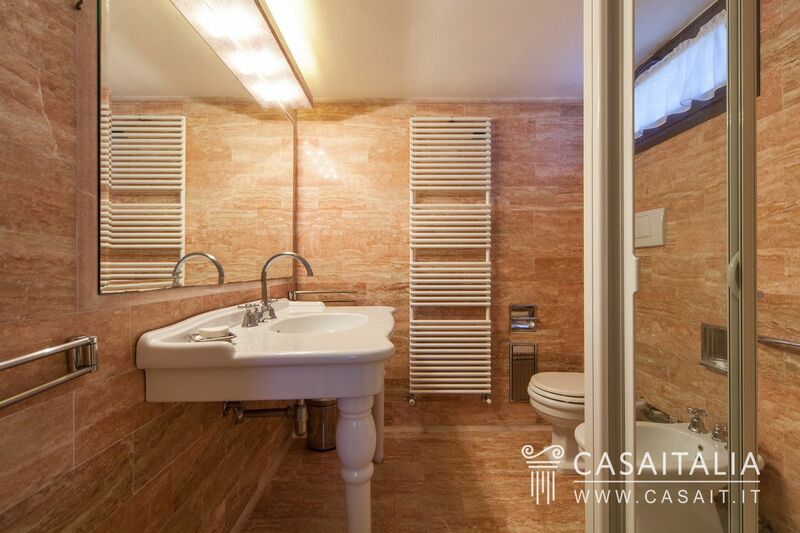 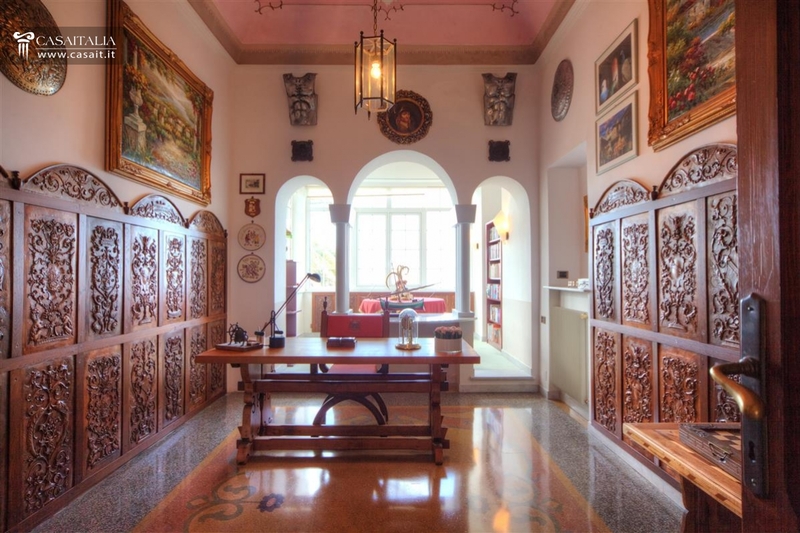 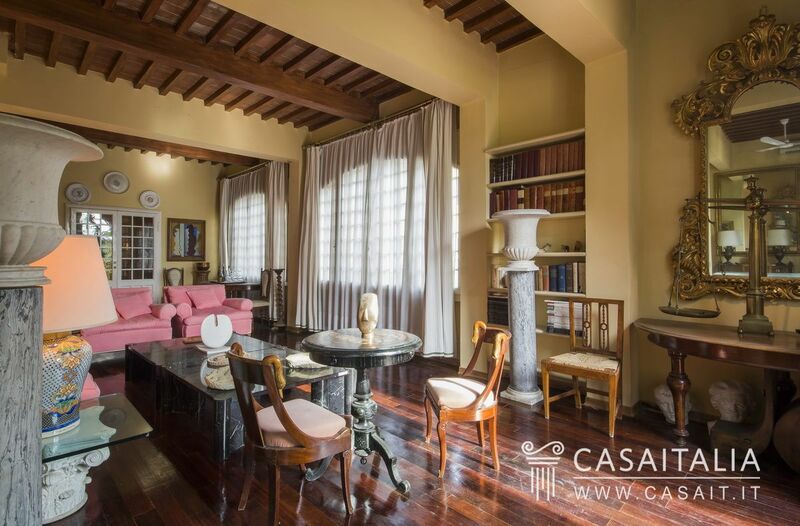 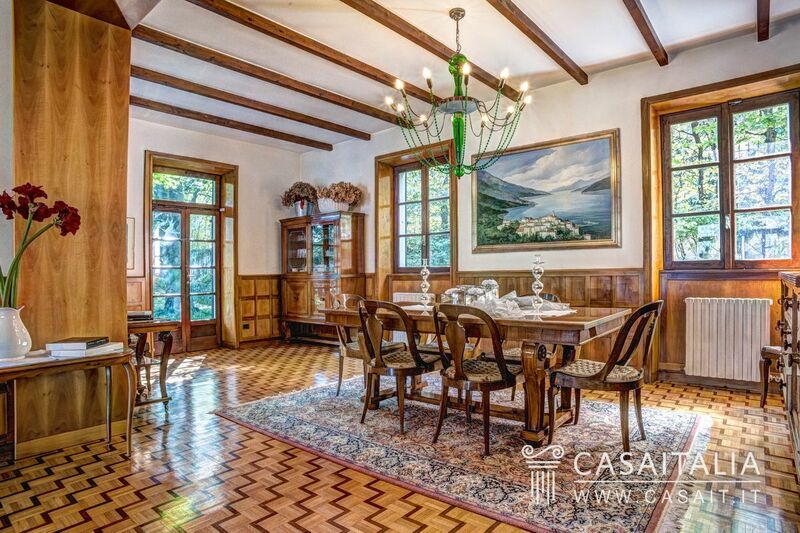 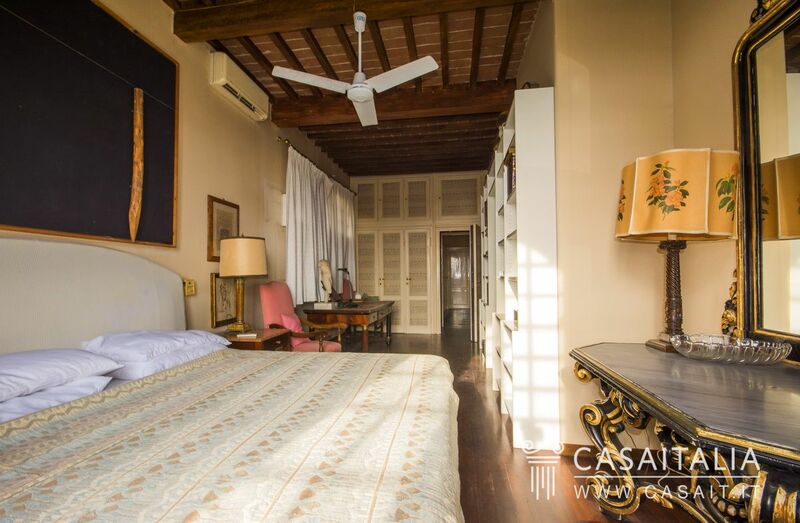 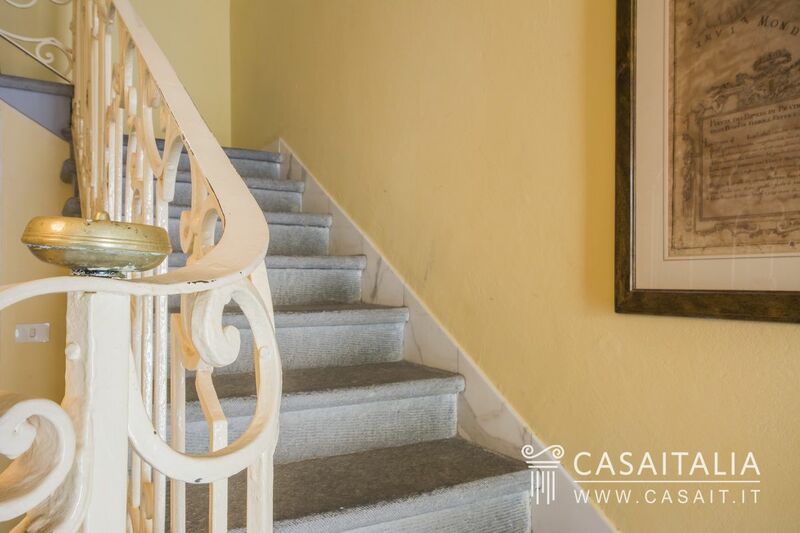 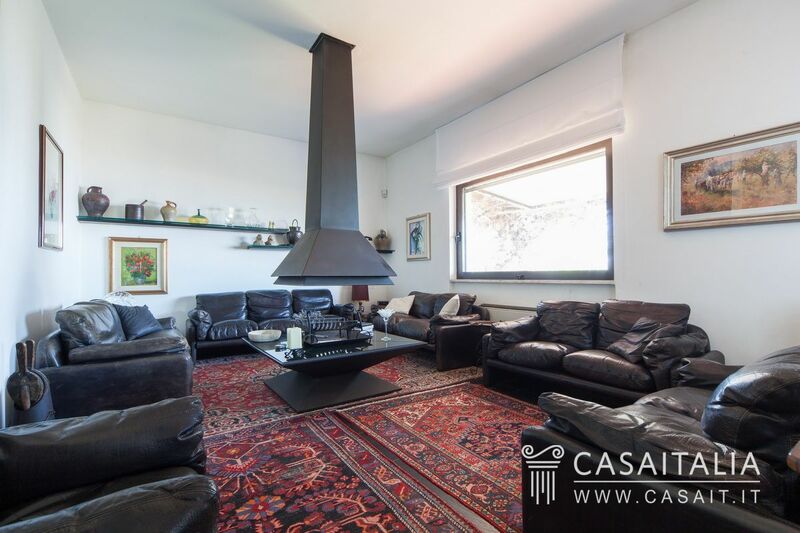 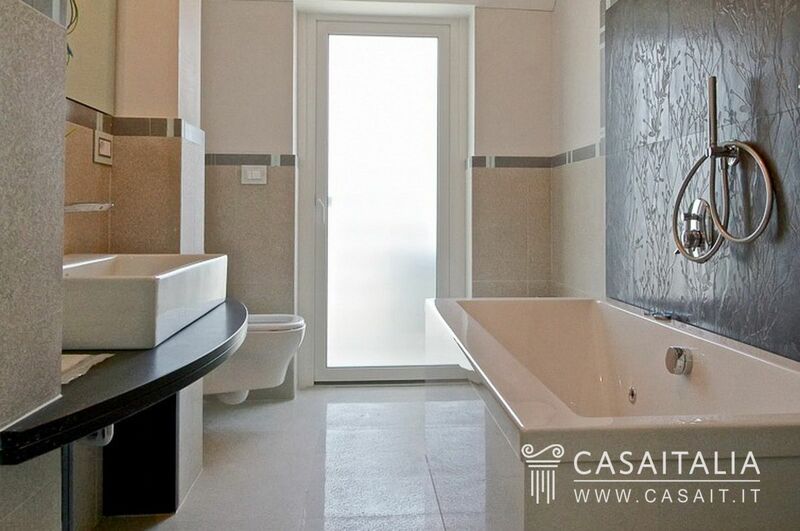 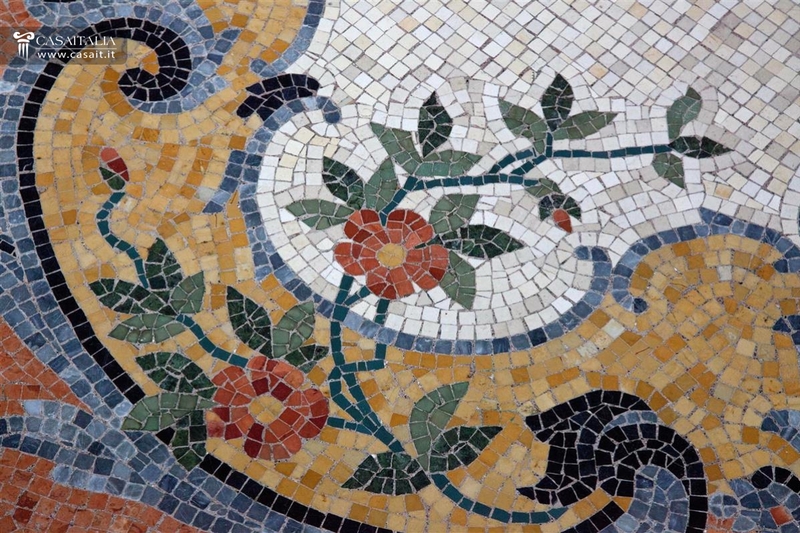 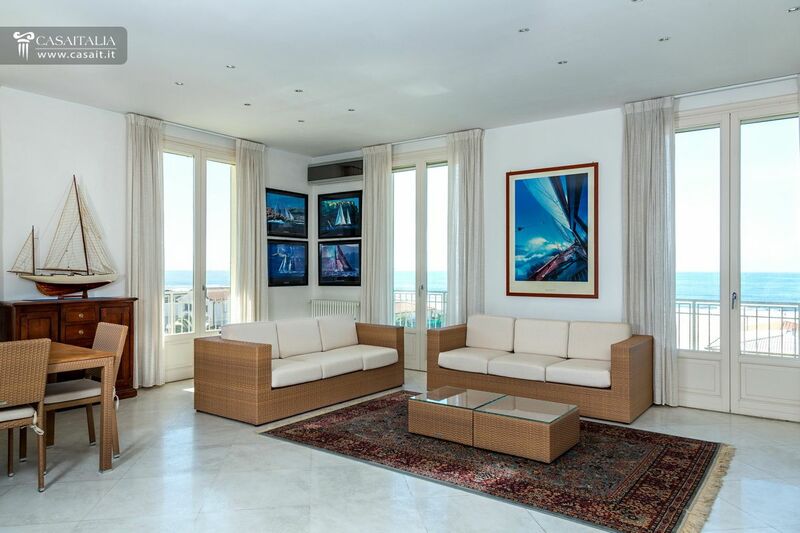 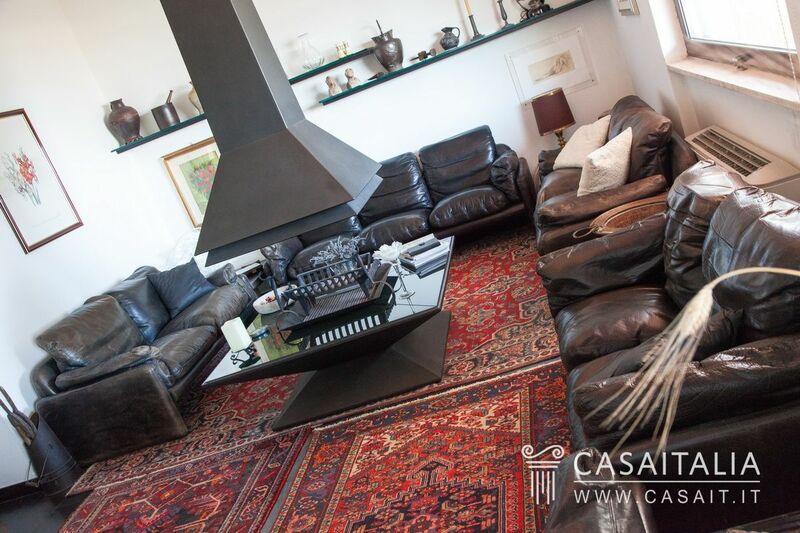 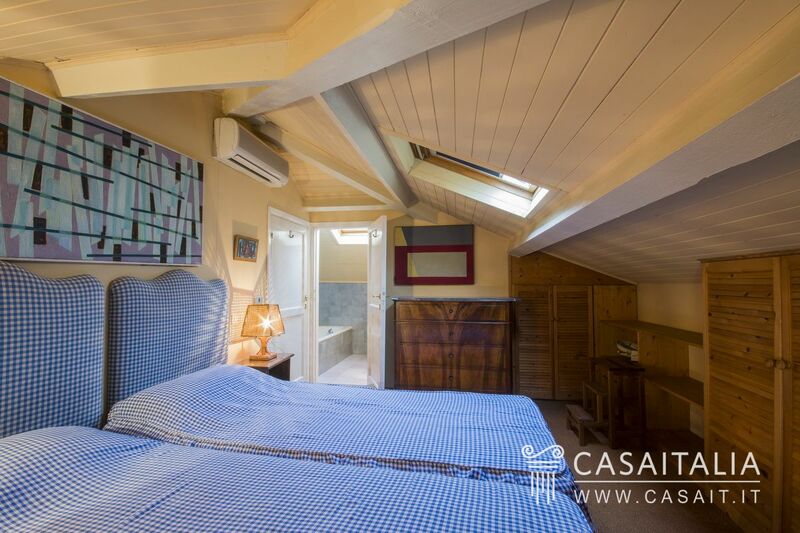 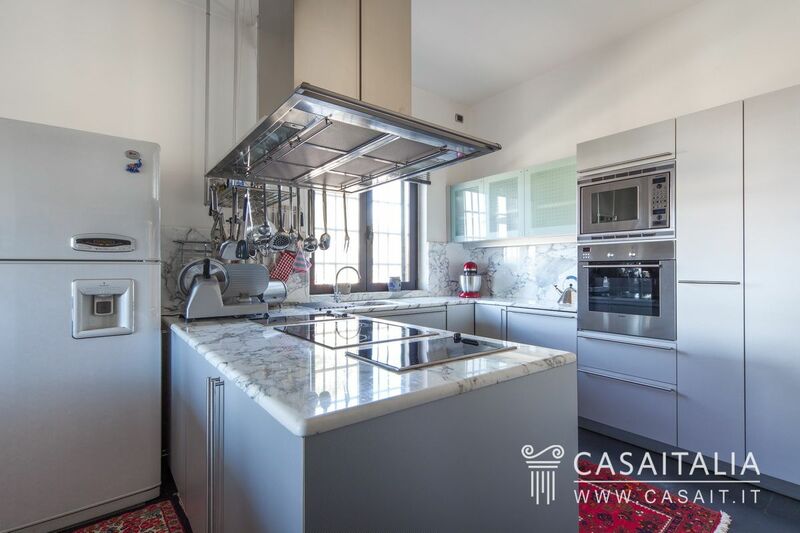 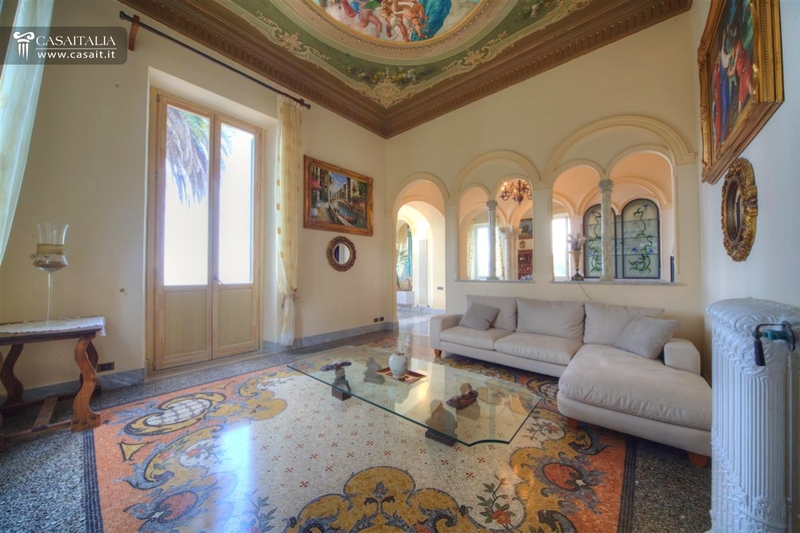 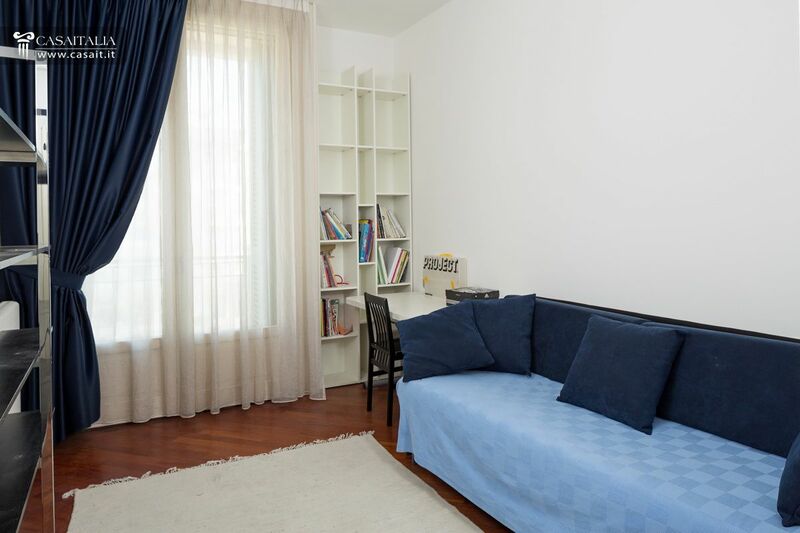 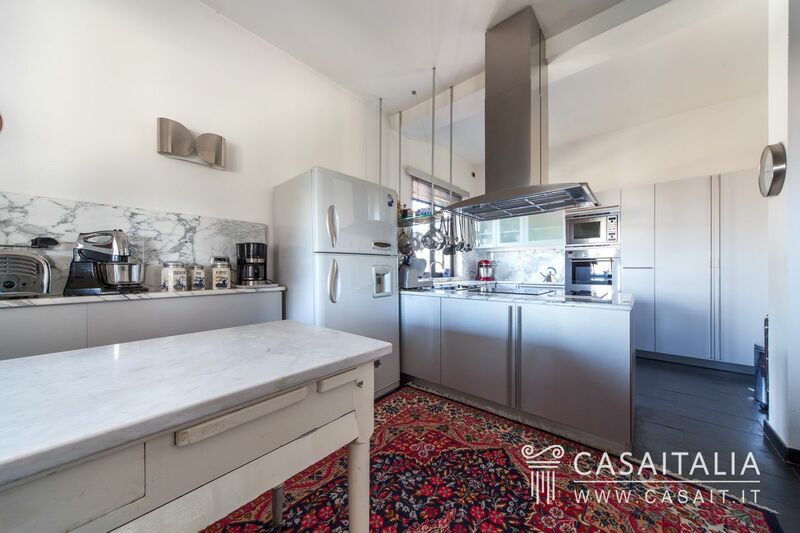 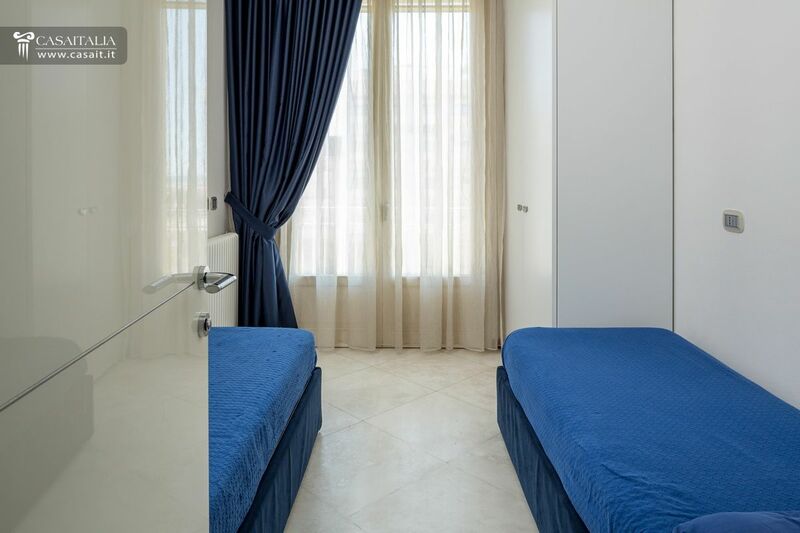 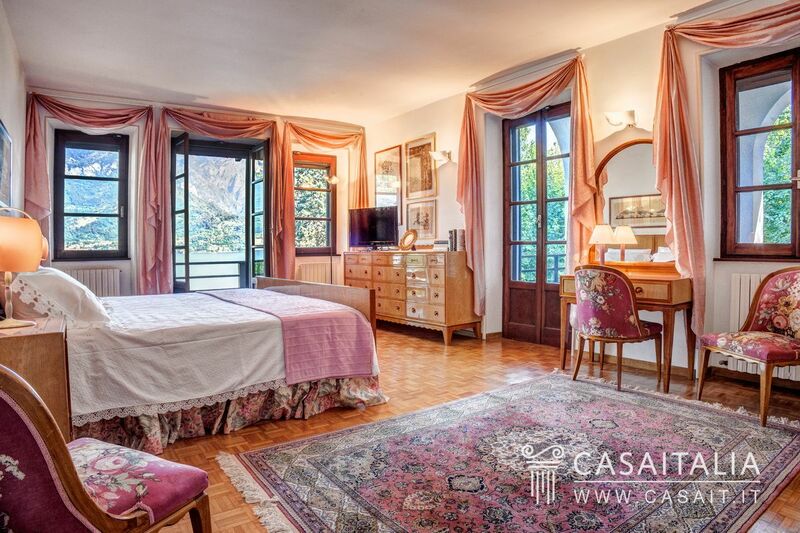 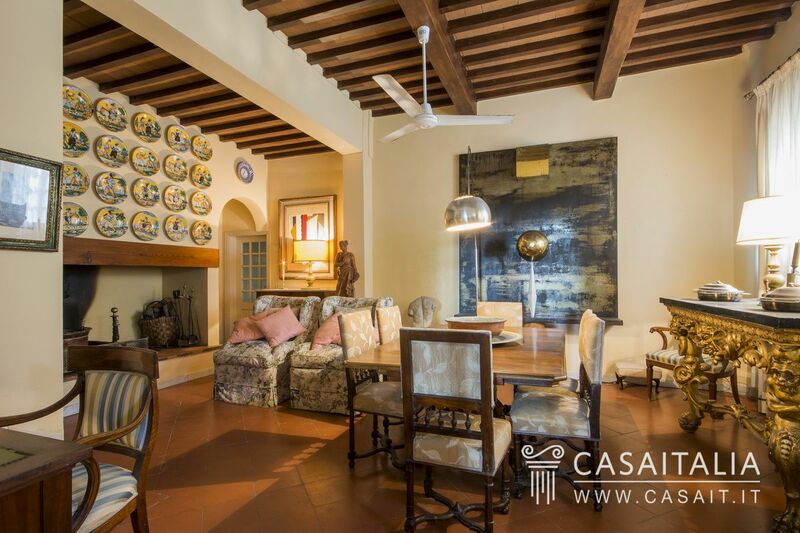 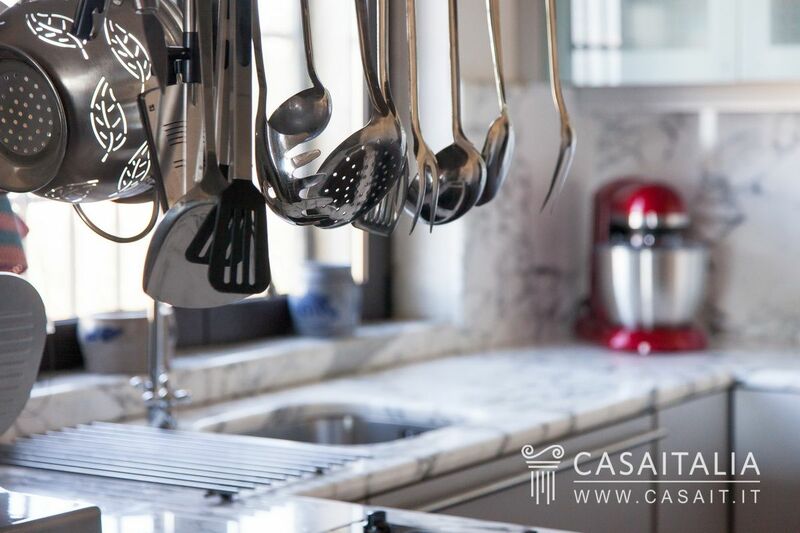 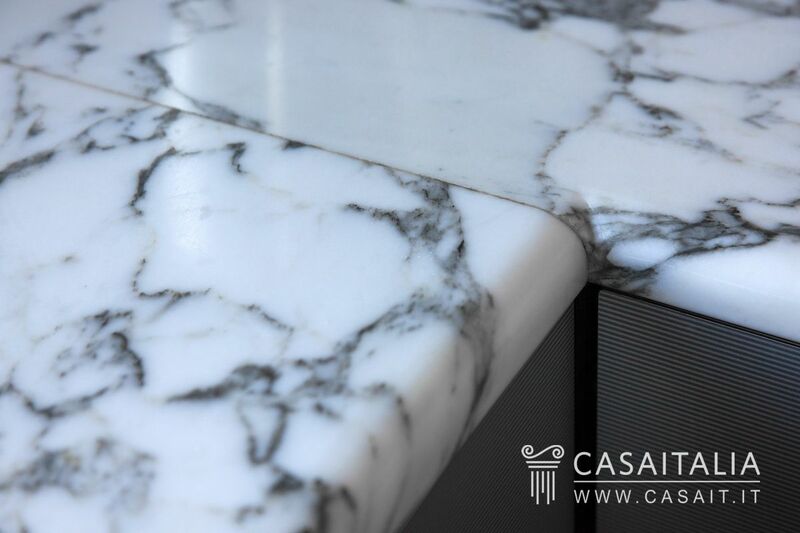 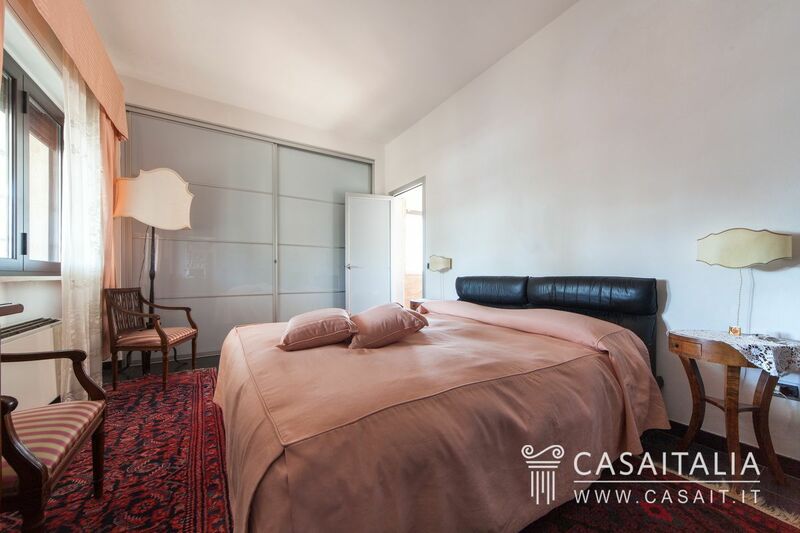 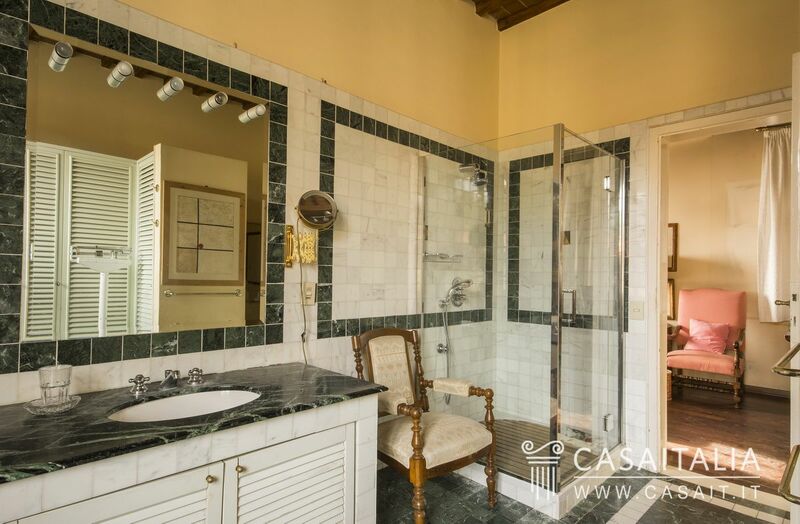 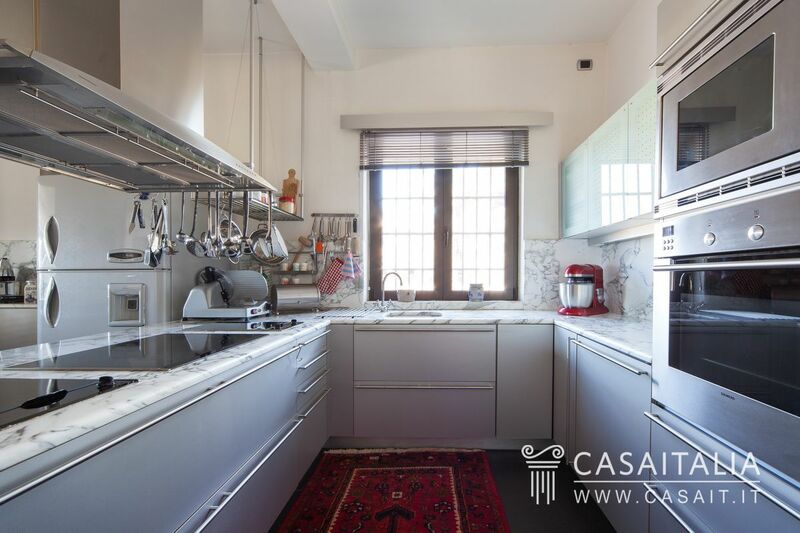 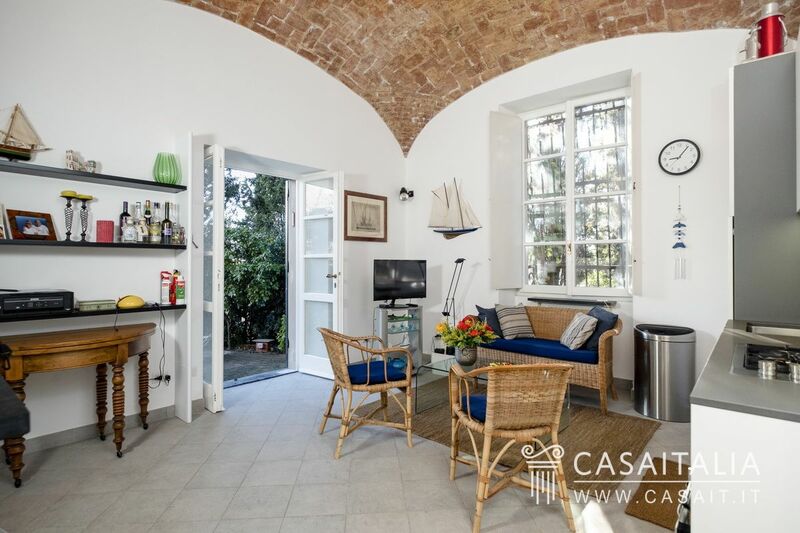 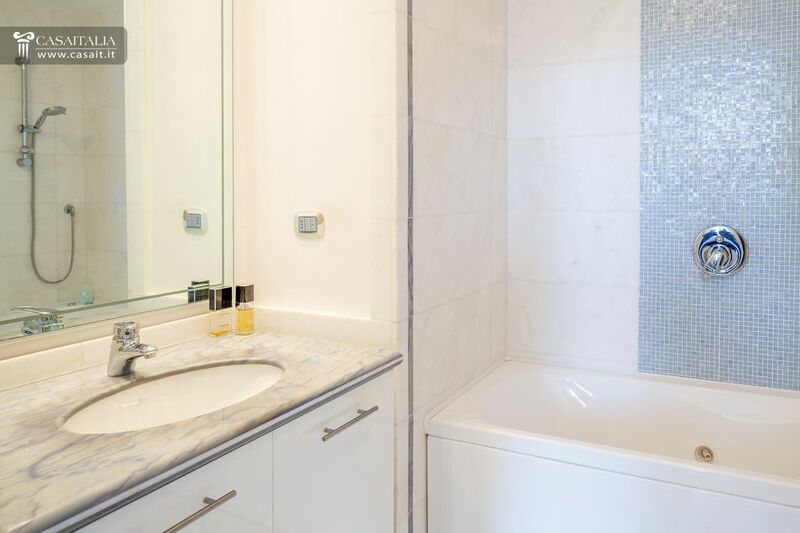 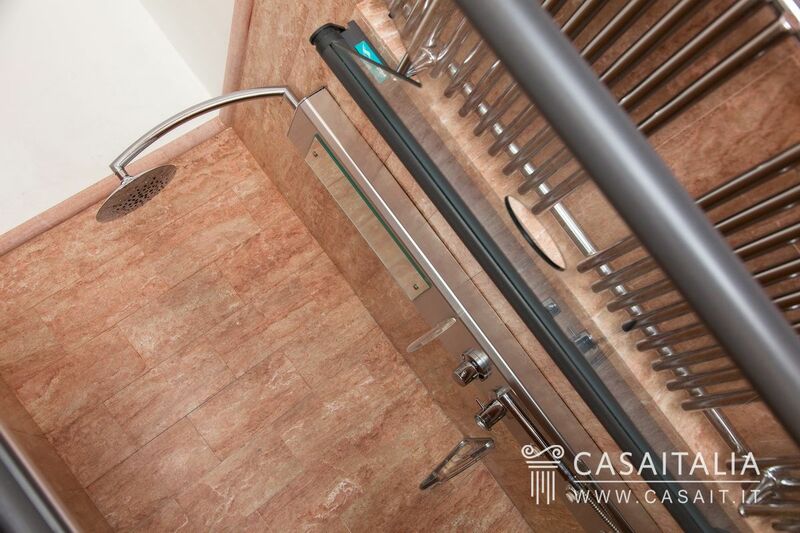 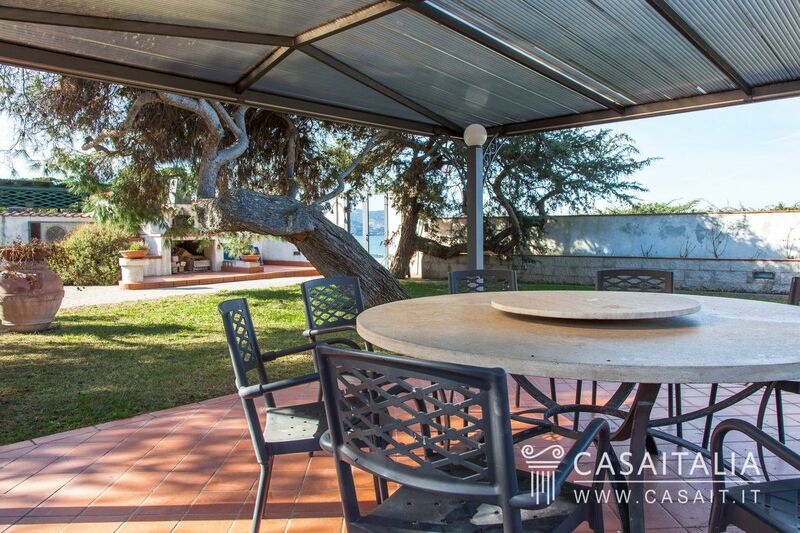 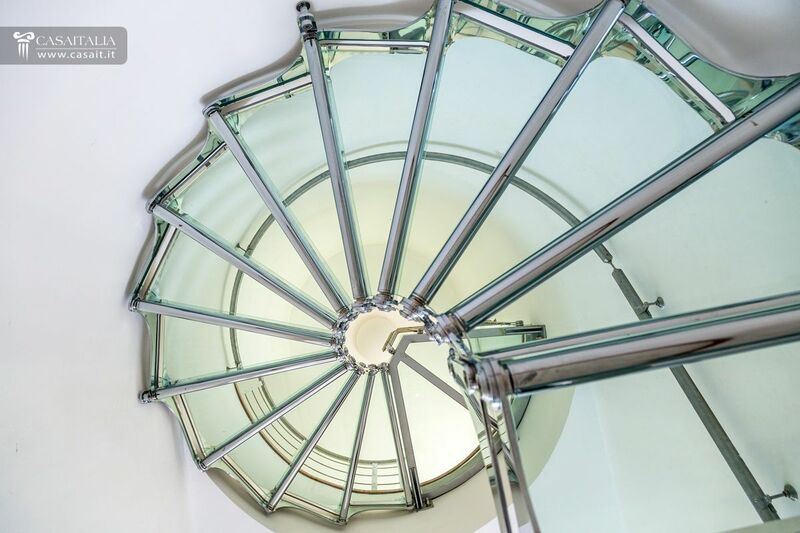 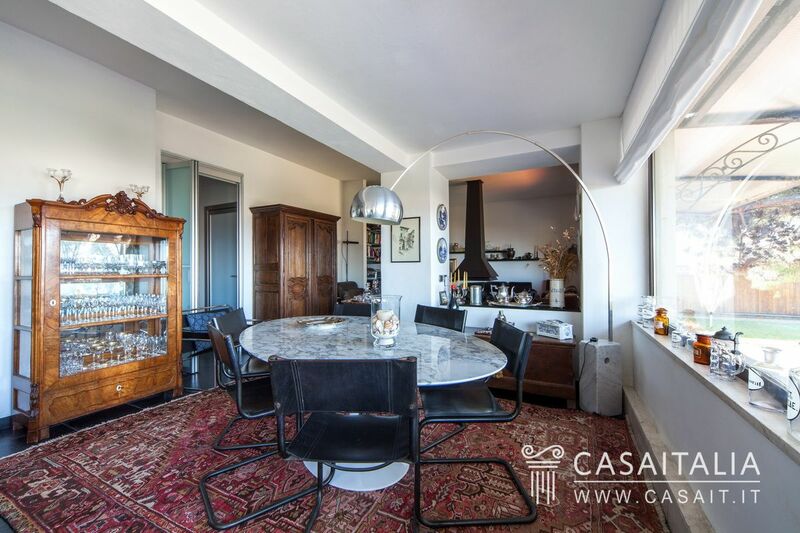 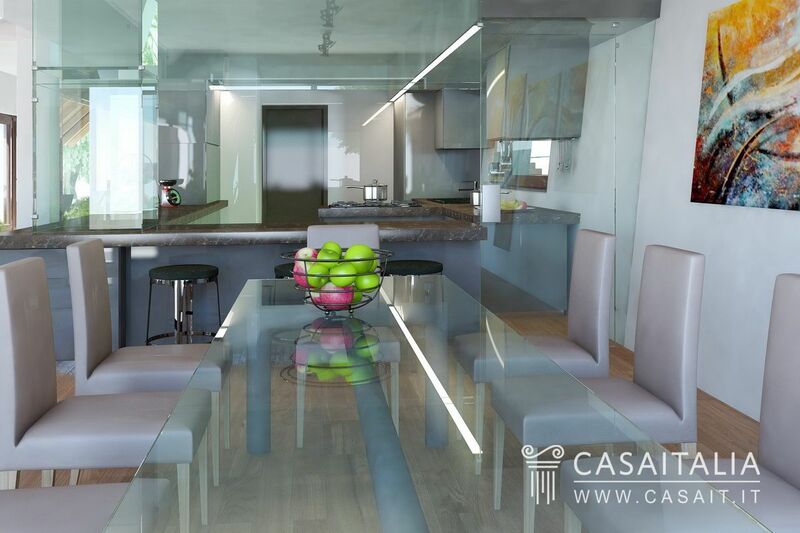 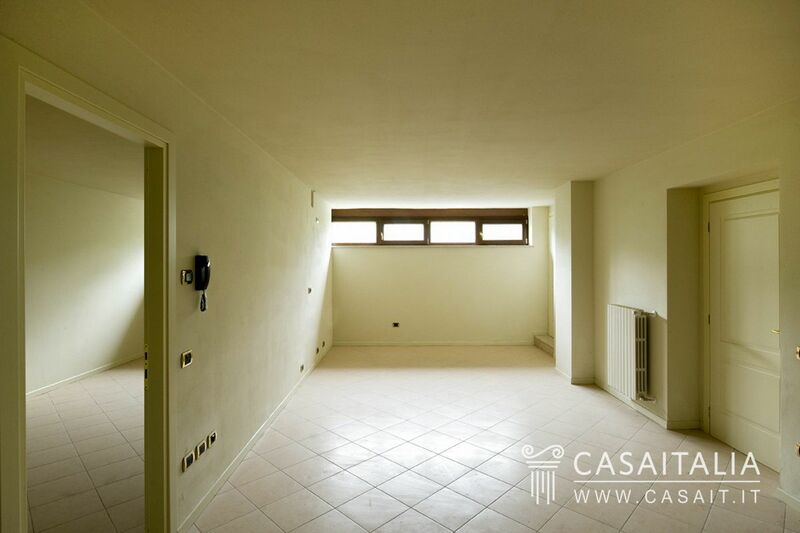 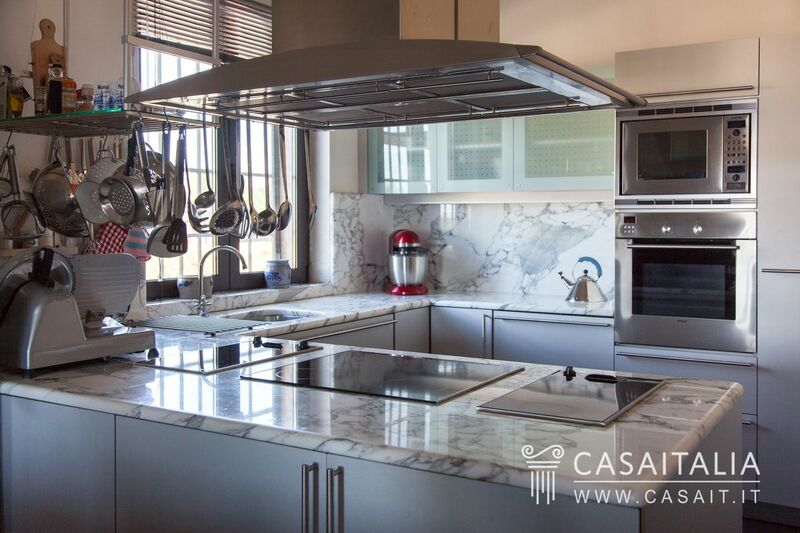 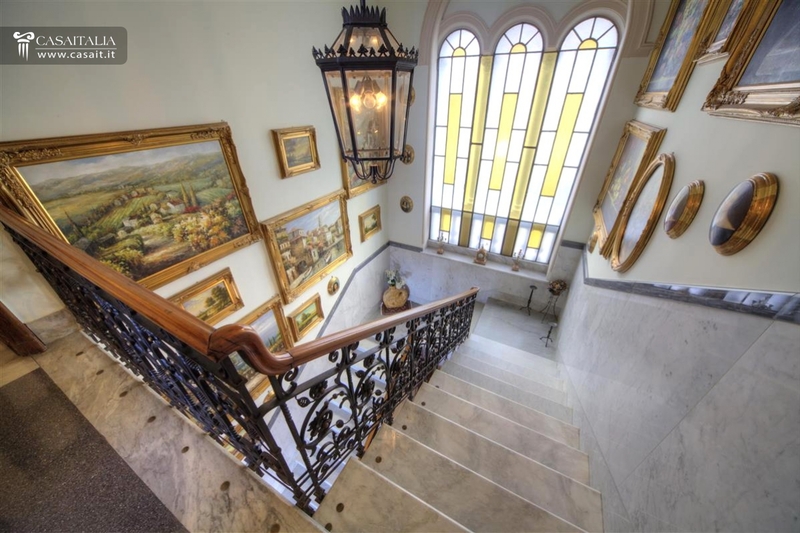 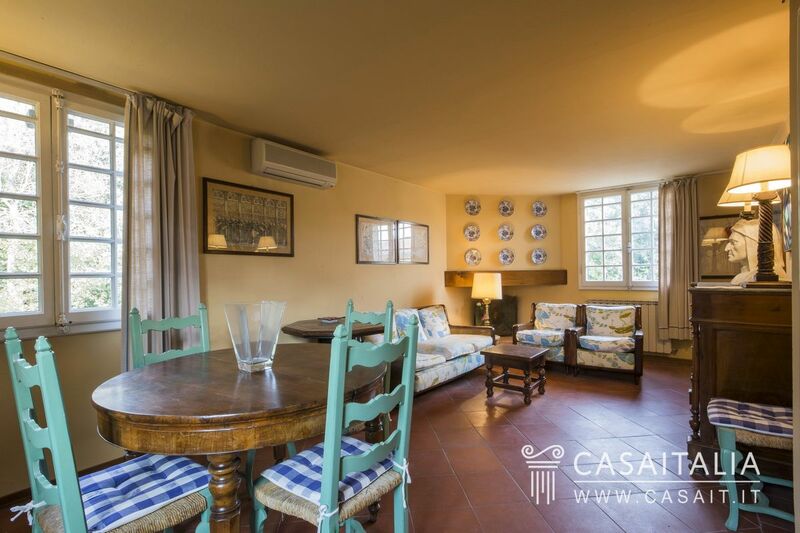 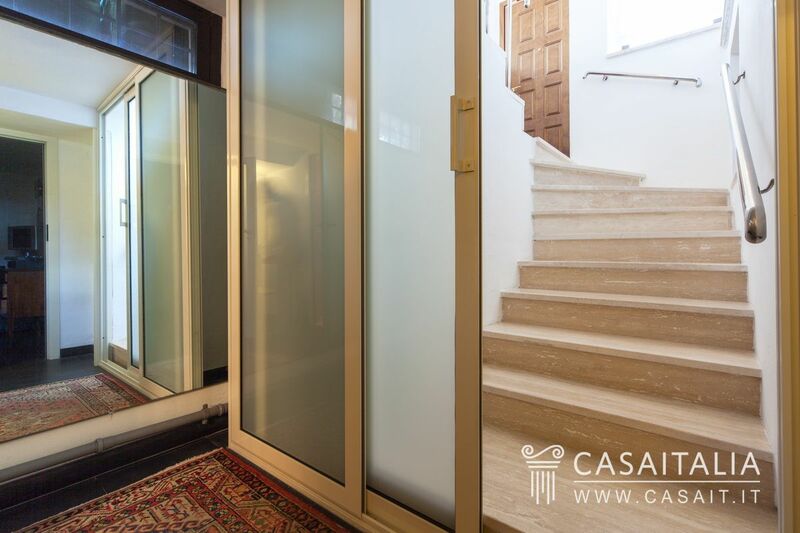 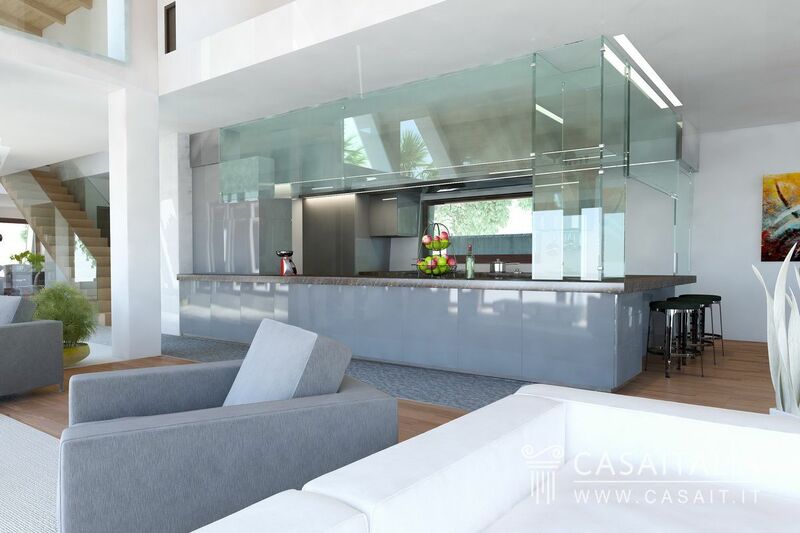 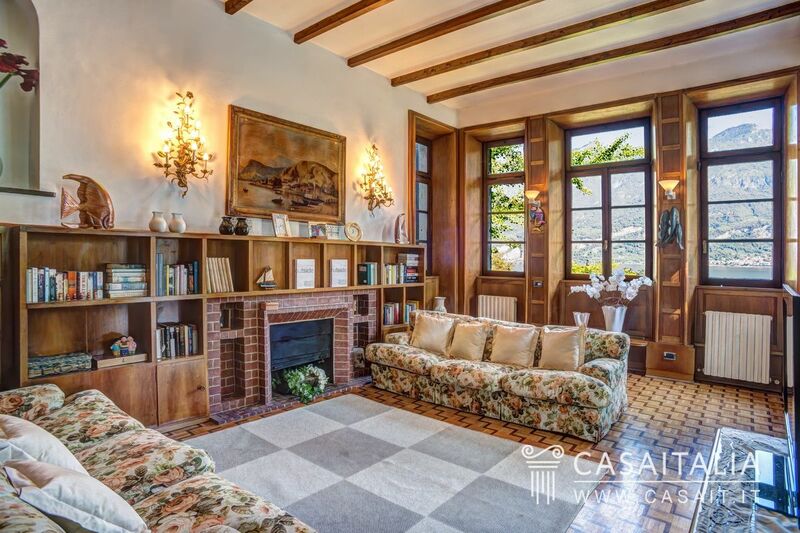 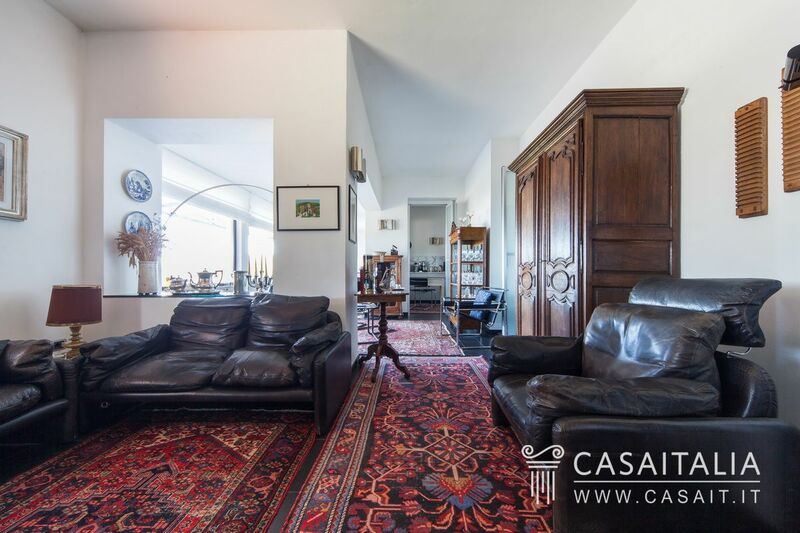 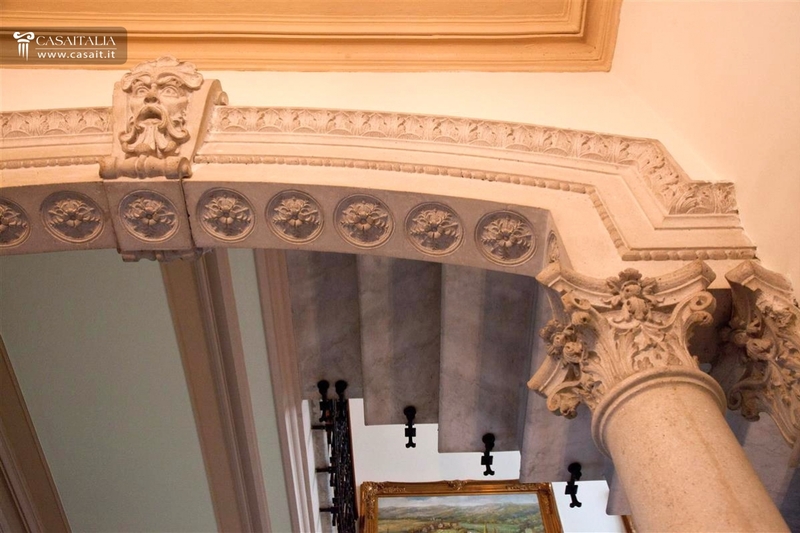 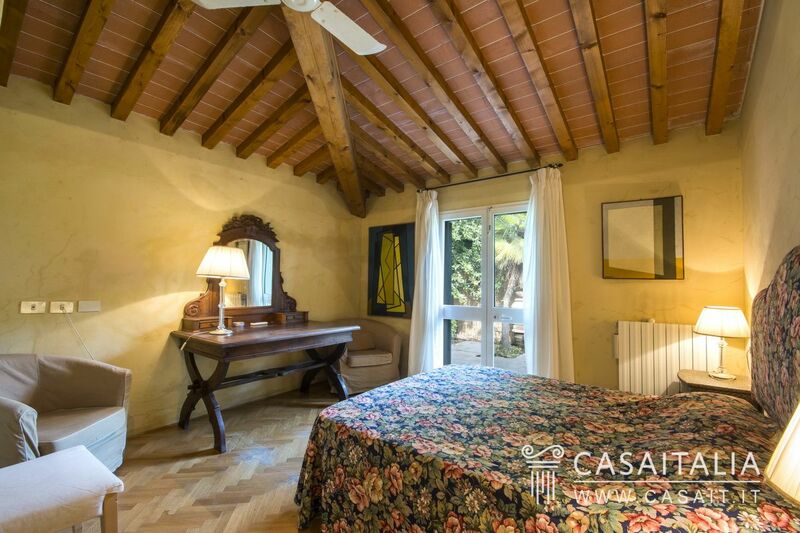 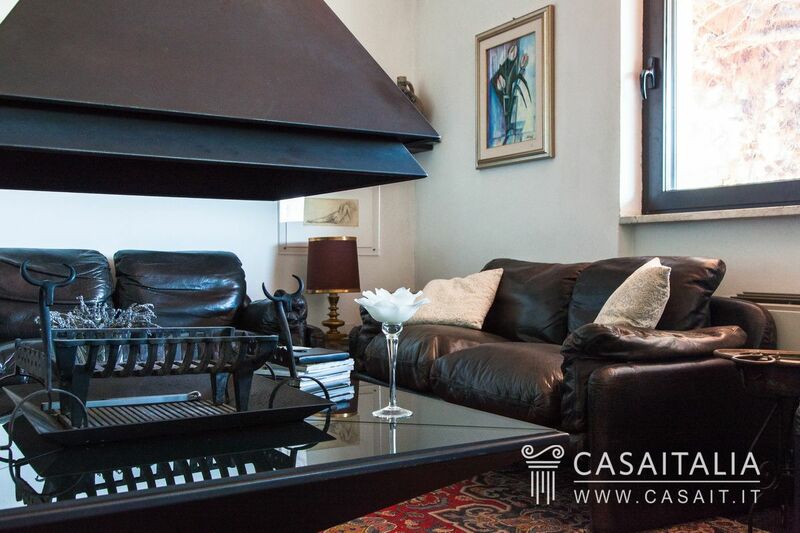 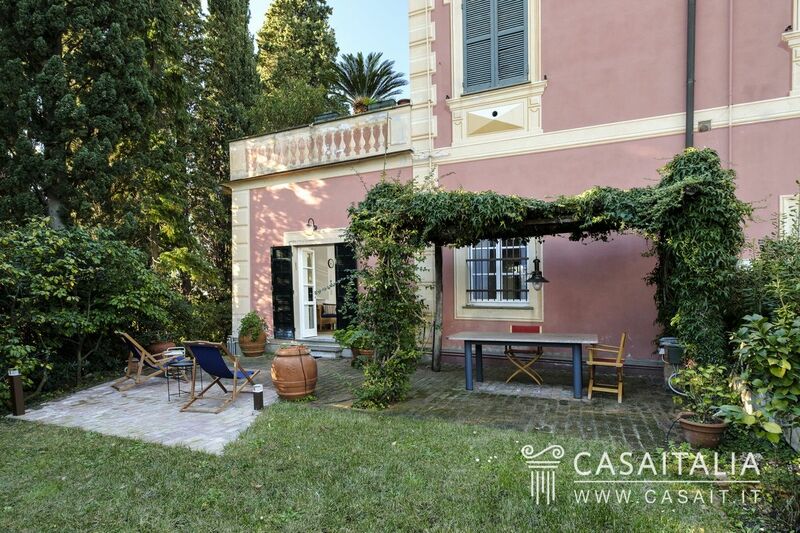 Private garden, parking, valuable finishes with original mosaic floors and frescoed ceilings for an area of 600 sqm. 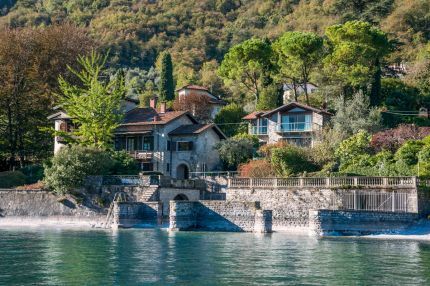 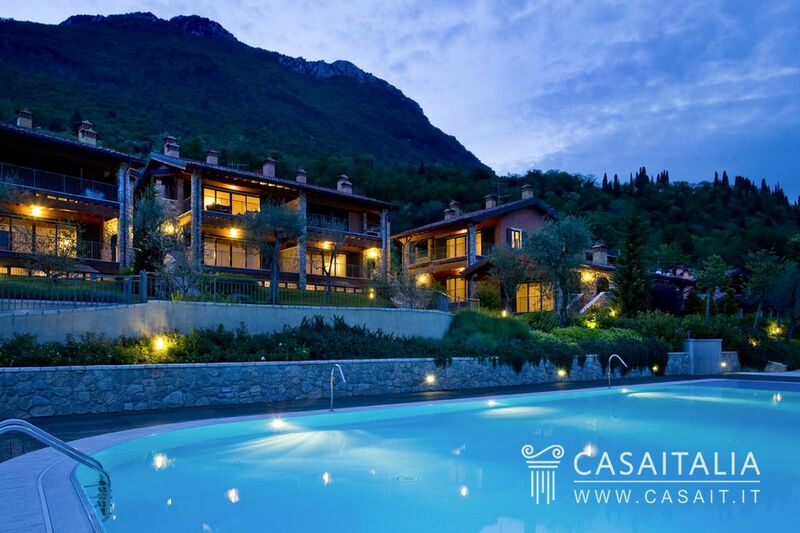 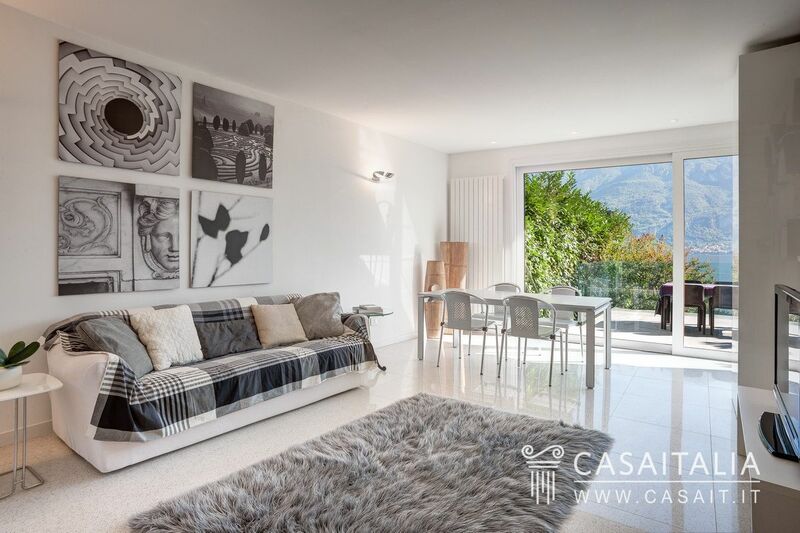 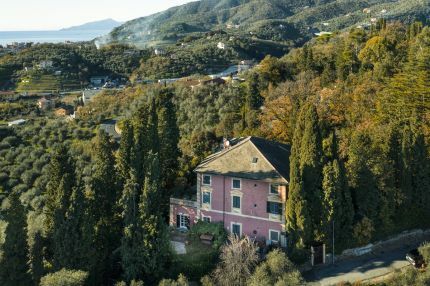 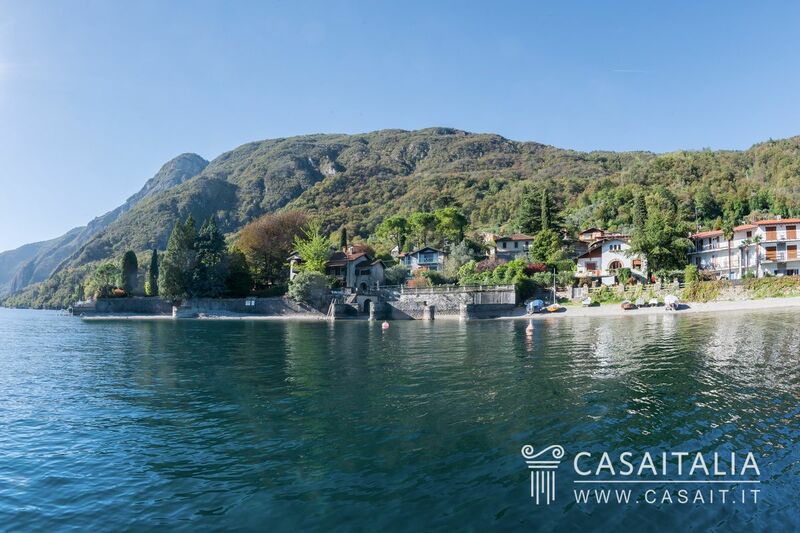 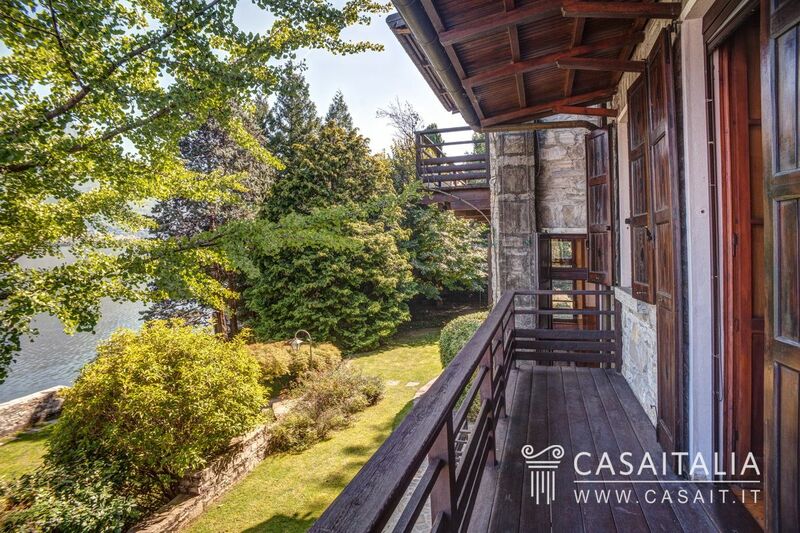 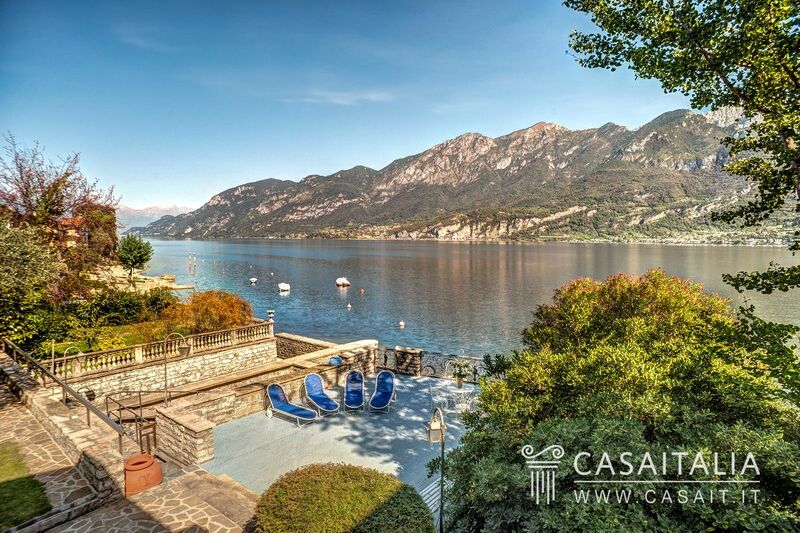 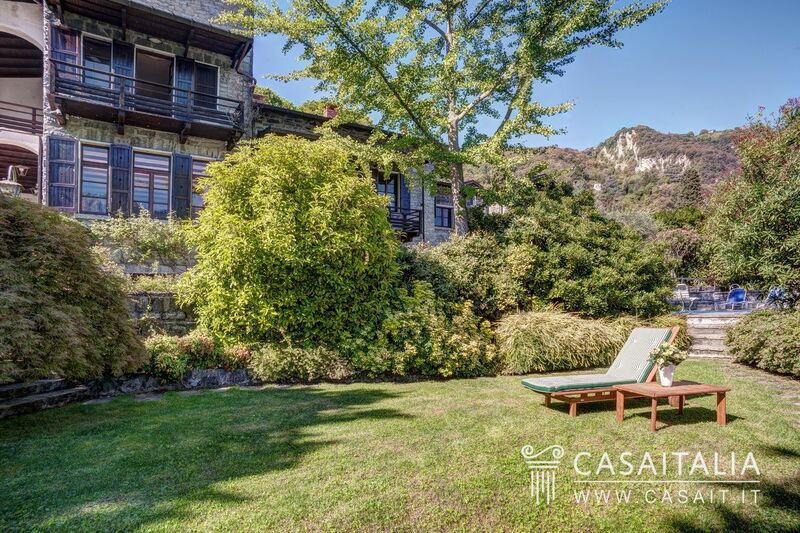 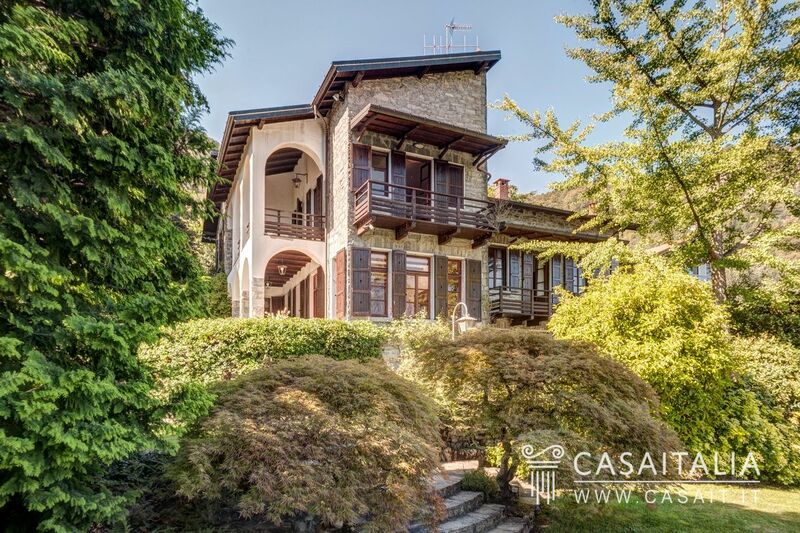 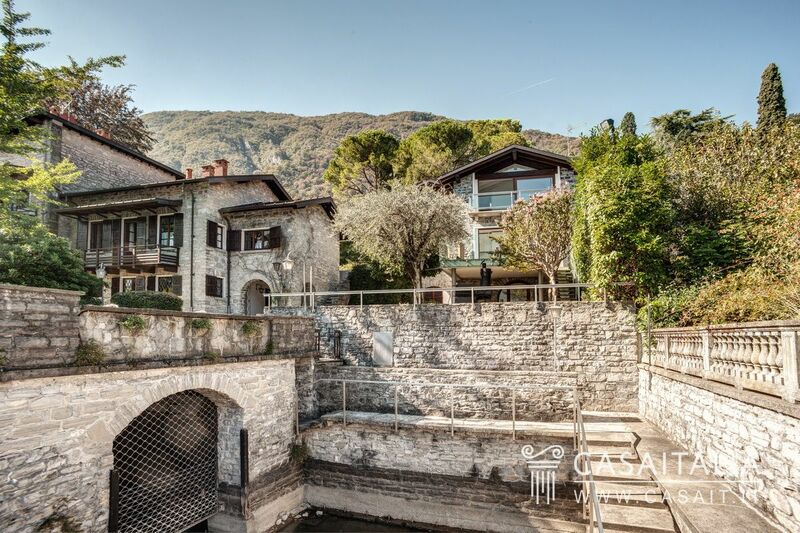 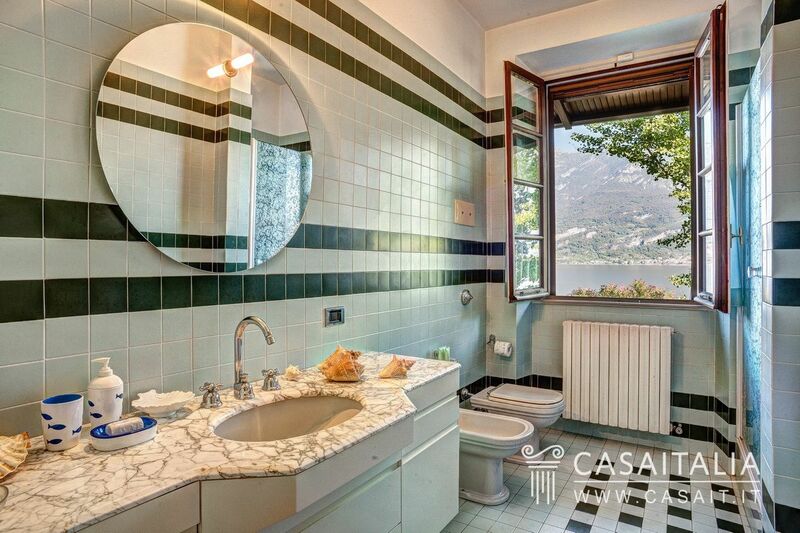 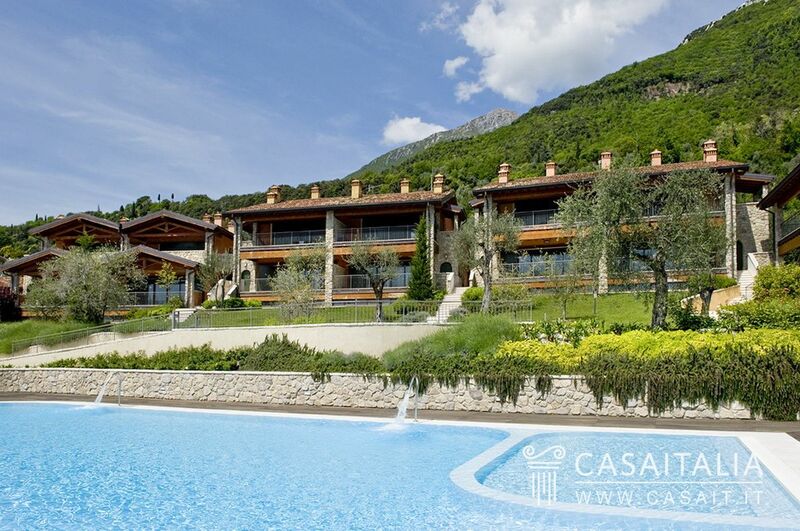 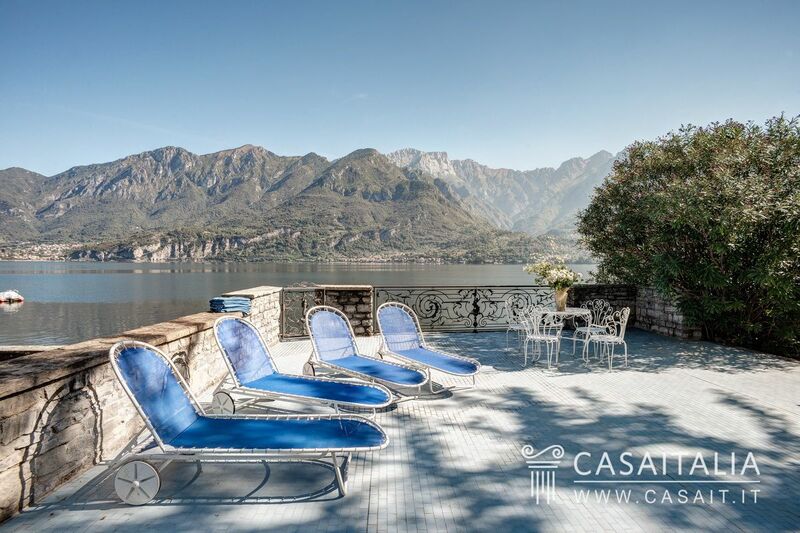 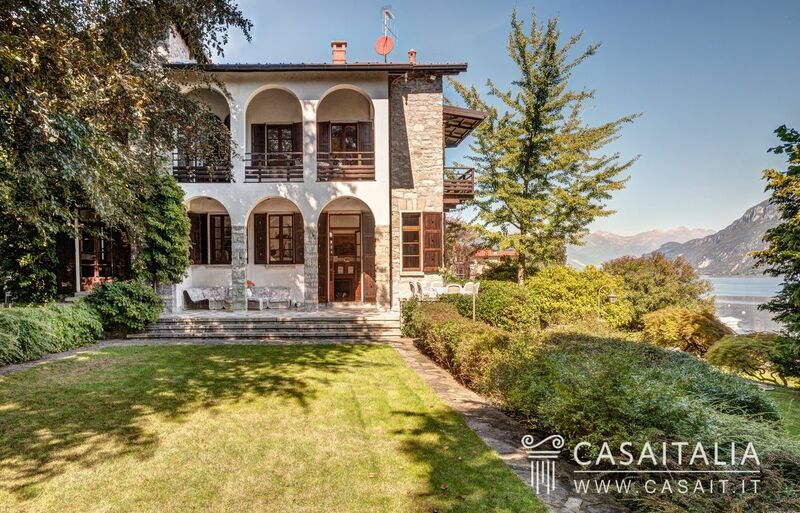 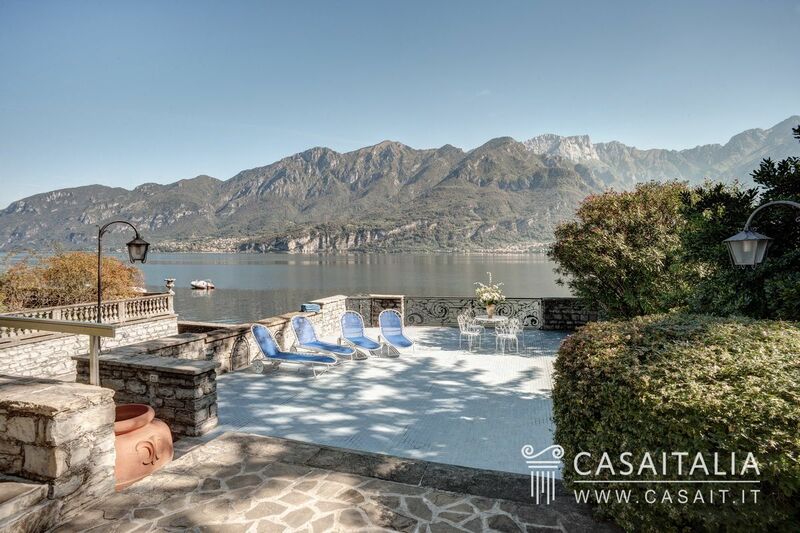 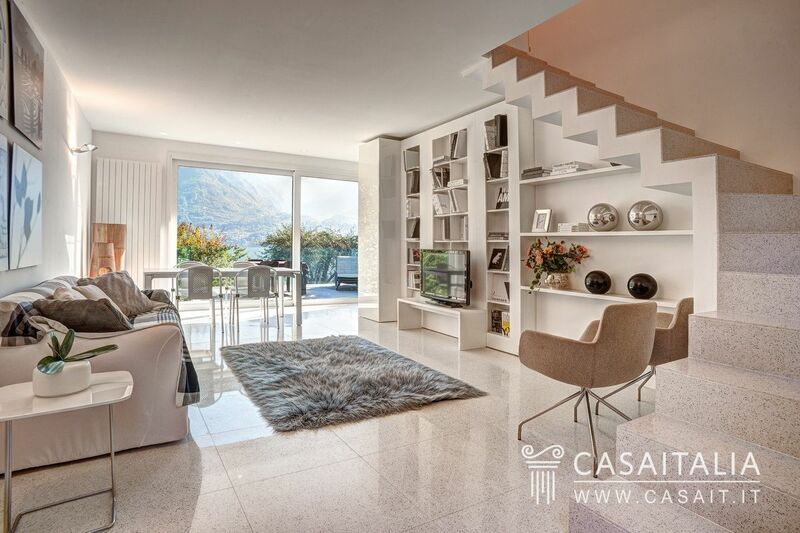 Impressive villa in panoramic location, on the banks of Lake Como, with dock and private beach, large outbuilding for guests, 1.480 sq.m of grounds and garage. 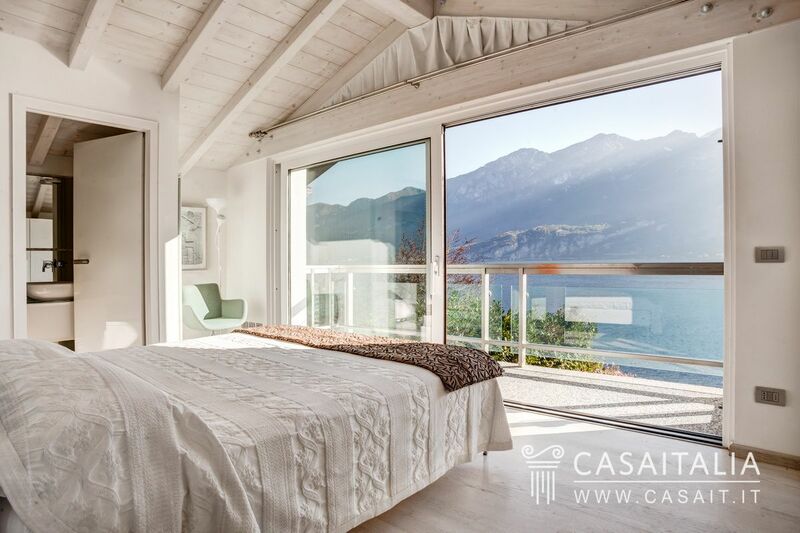 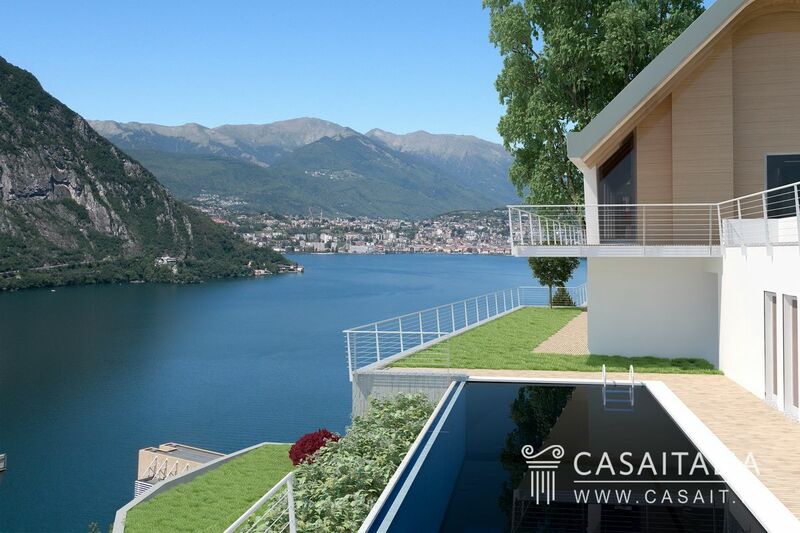 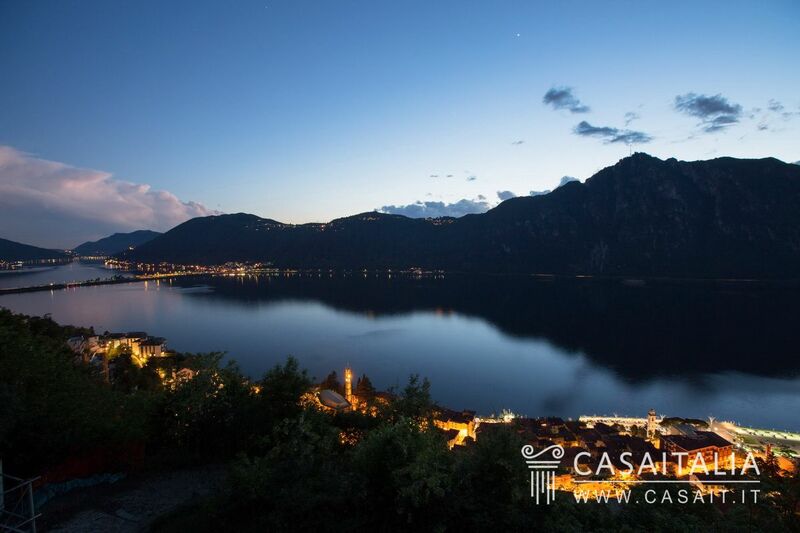 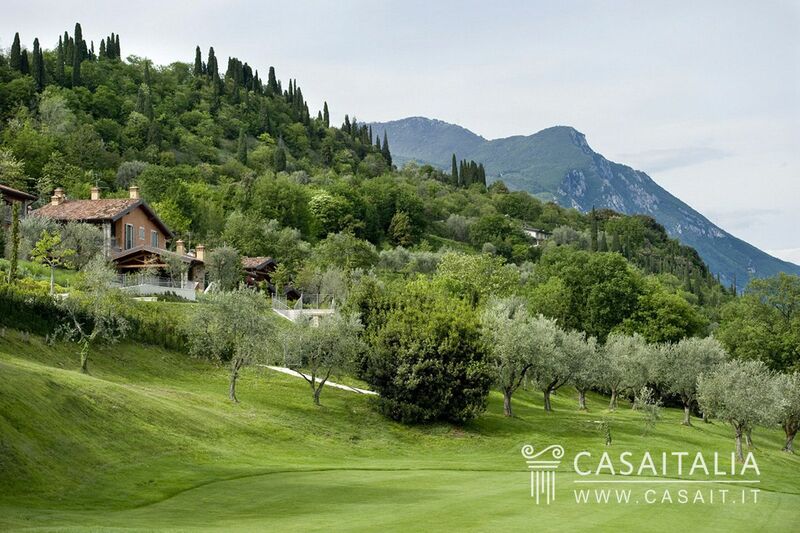 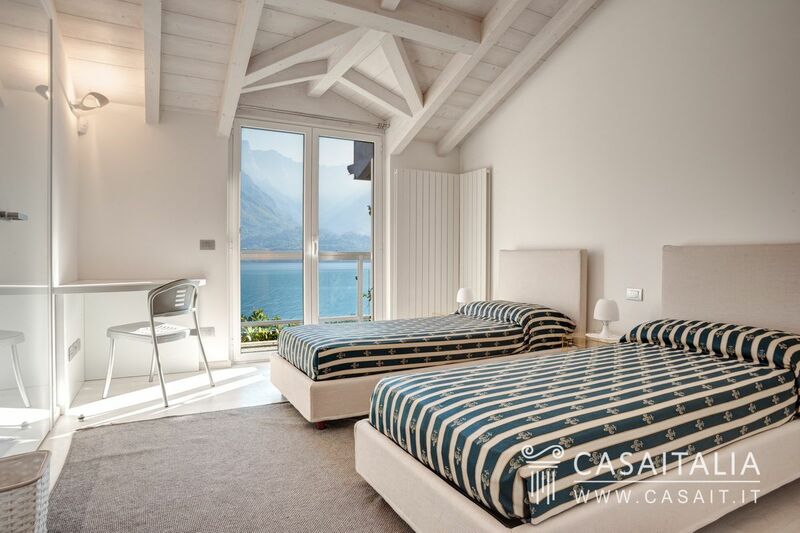 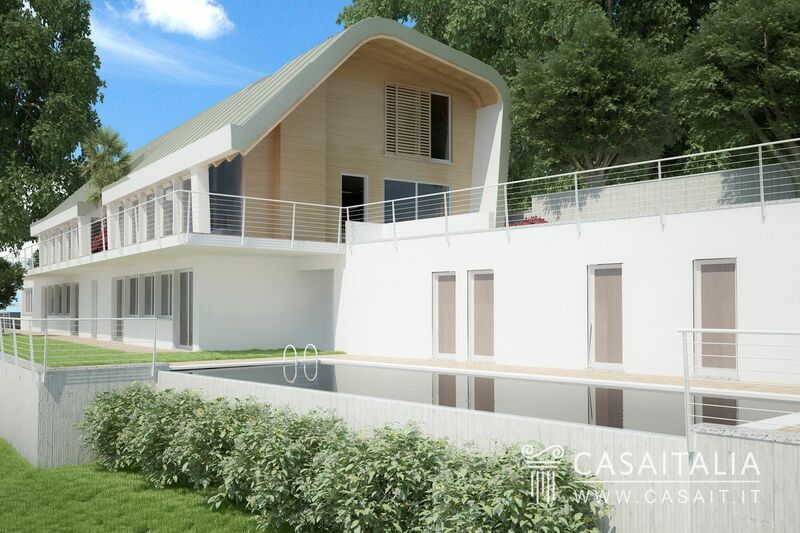 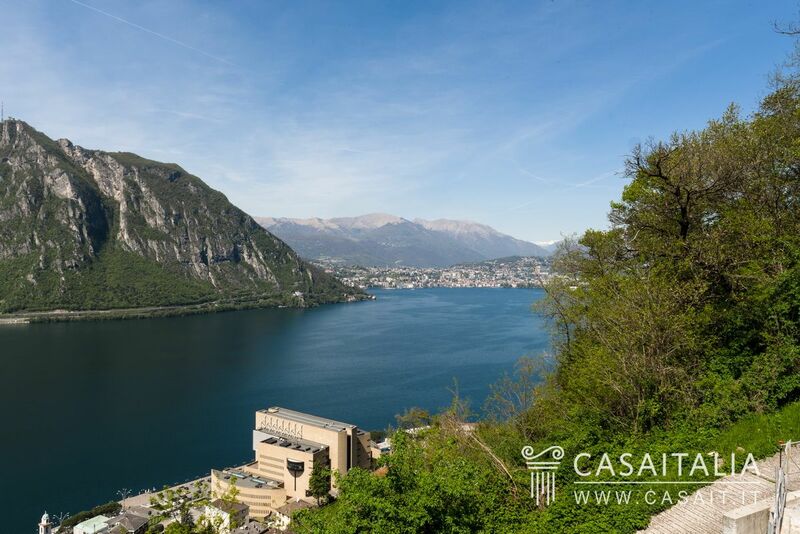 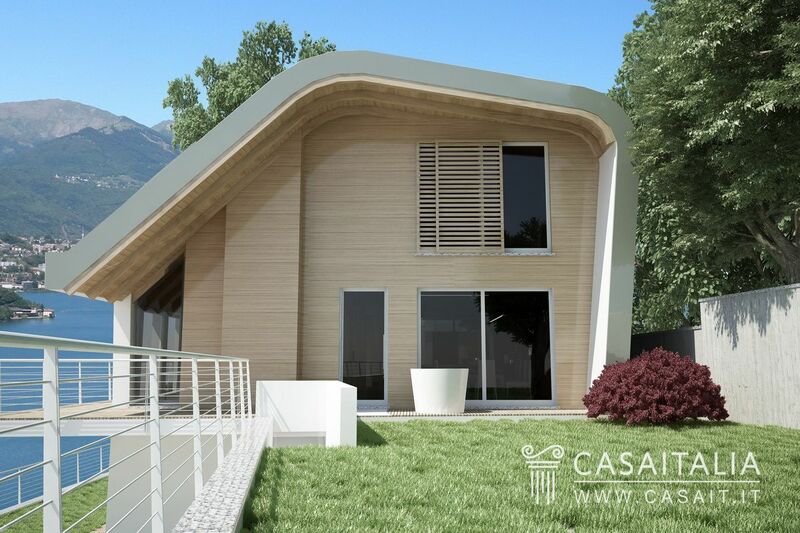 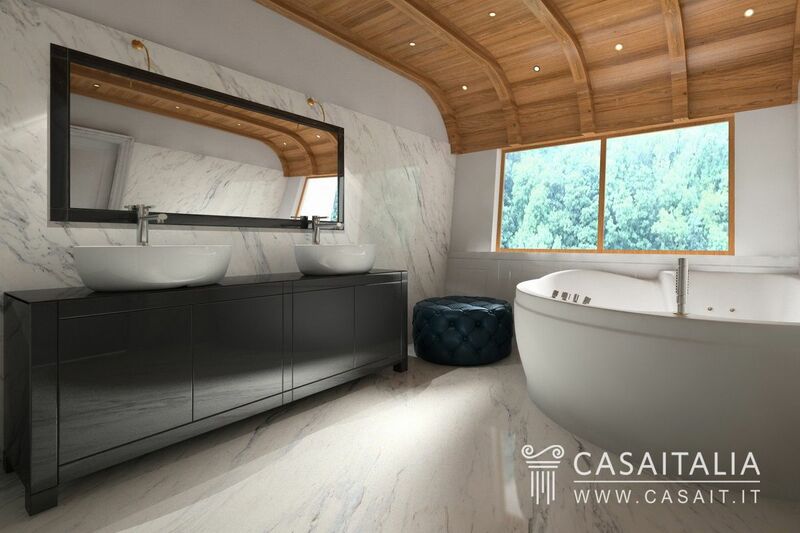 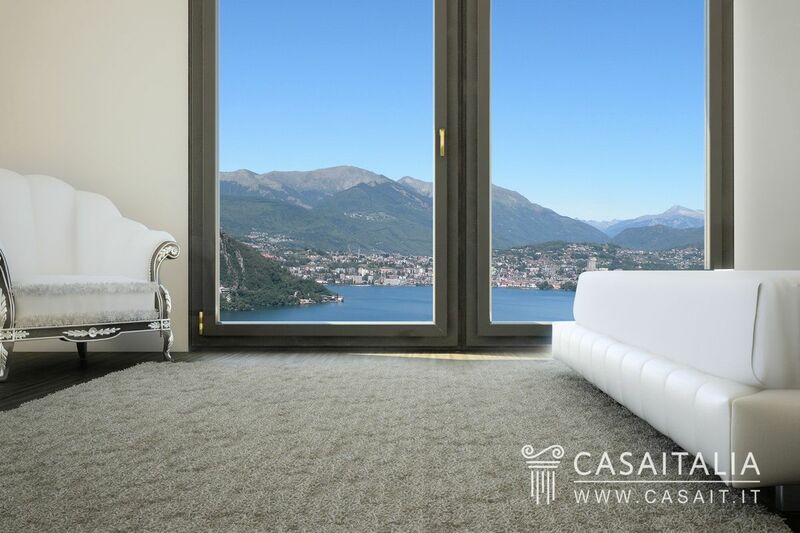 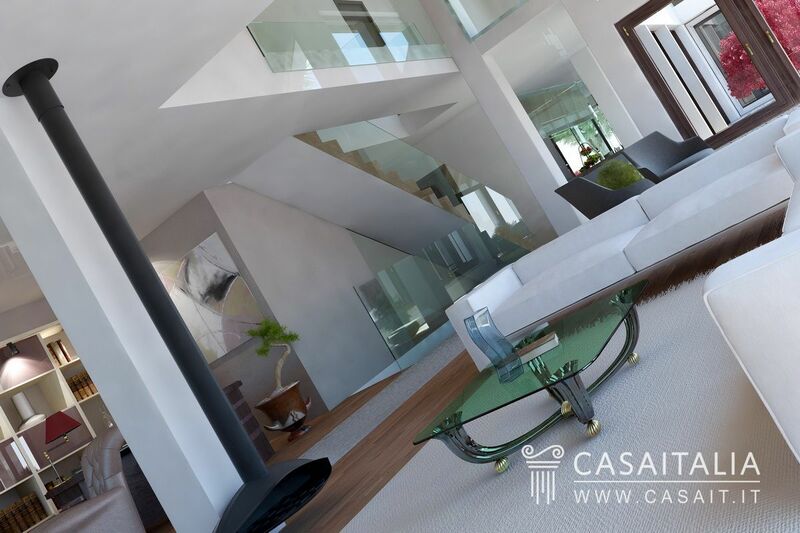 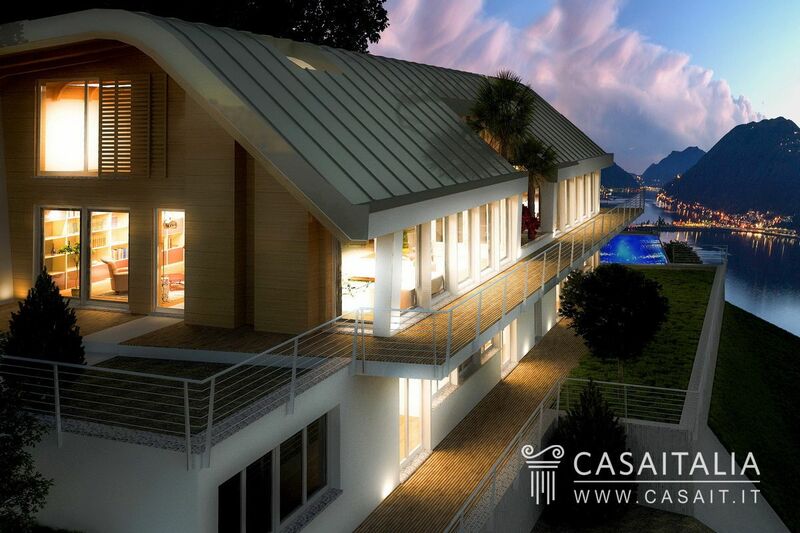 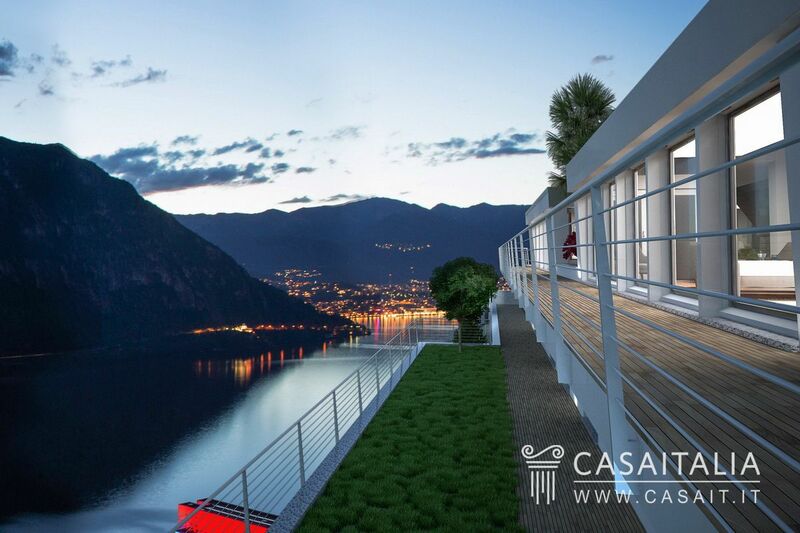 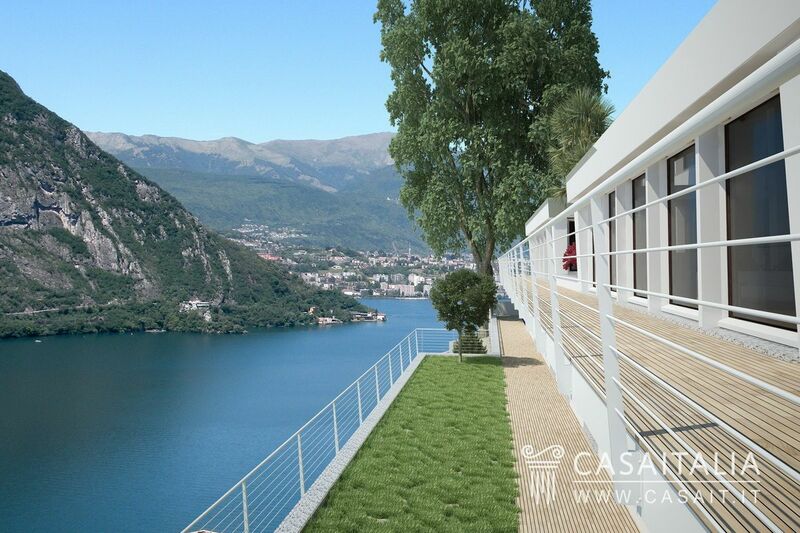 Luxury villa under construction for sale in Campione d’Italia, with a panoramic view over Lake Lugano. 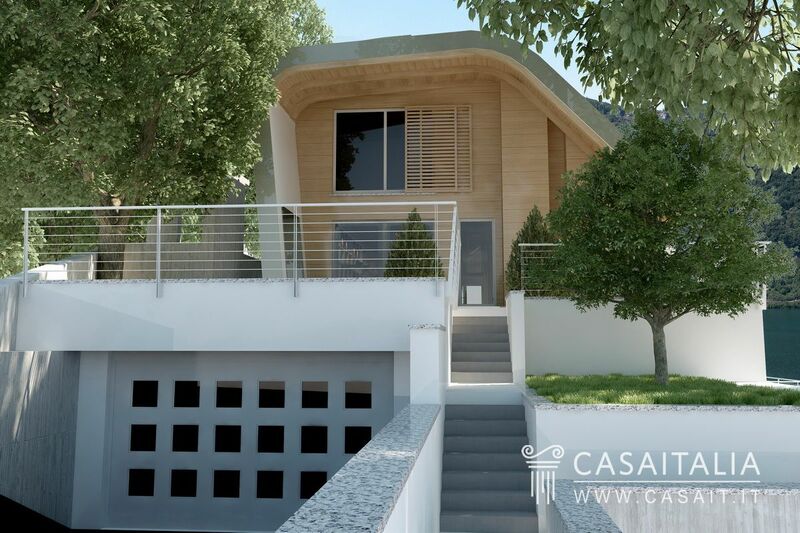 With 3 floors, it has a total surface area of 820 sq.m and is surrounded by 1.477 sq.m of private garden with swimming pool and garage. 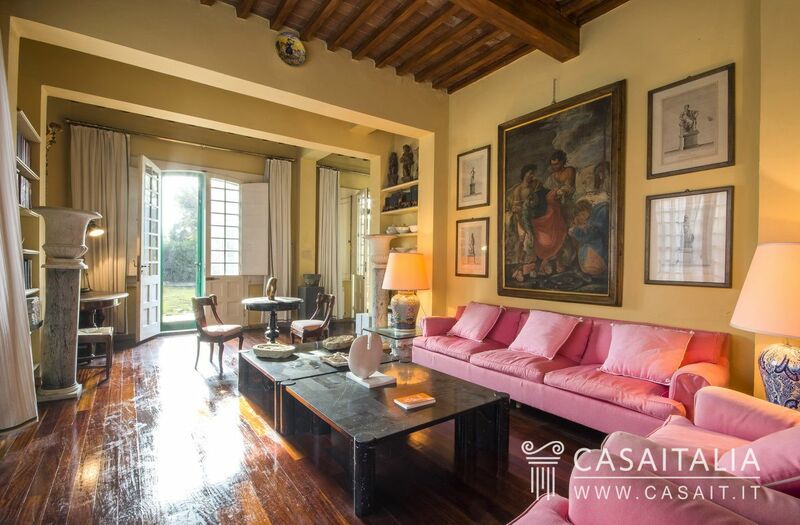 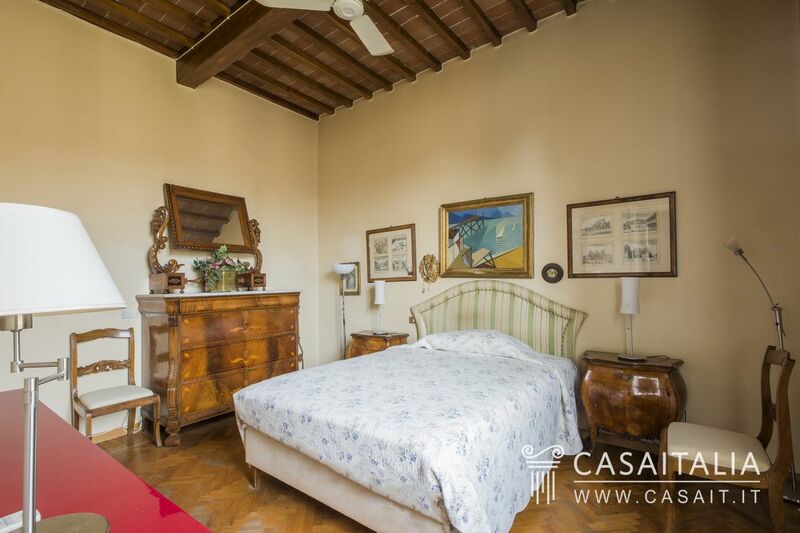 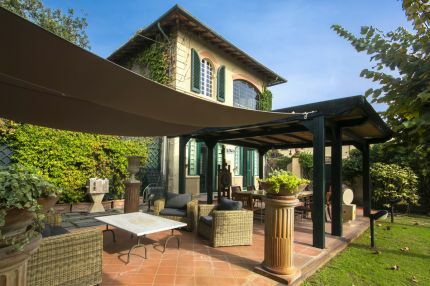 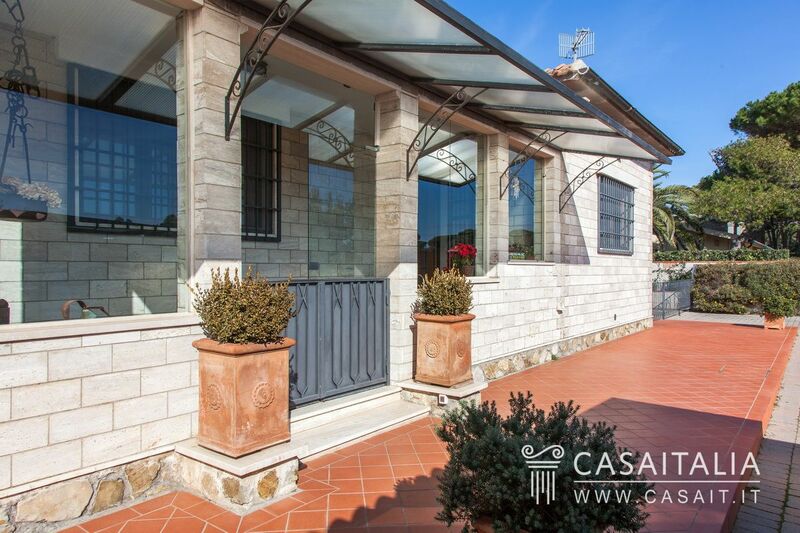 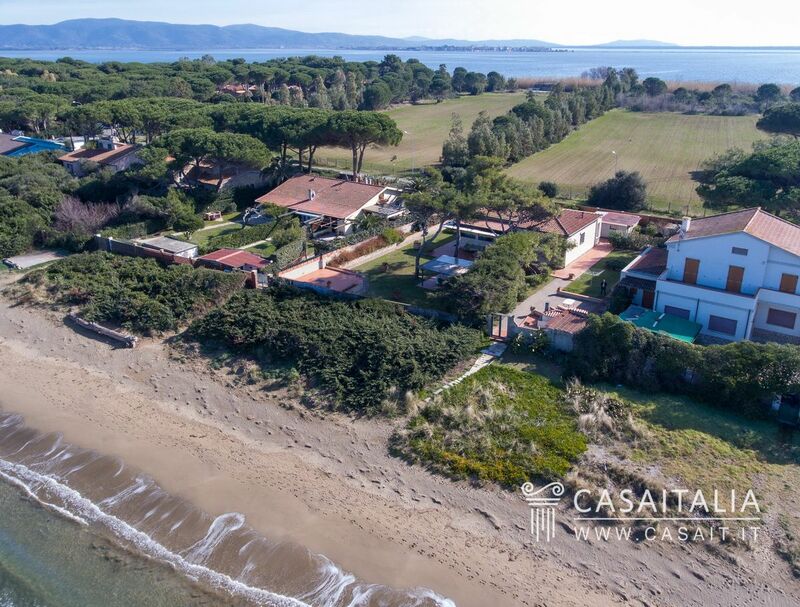 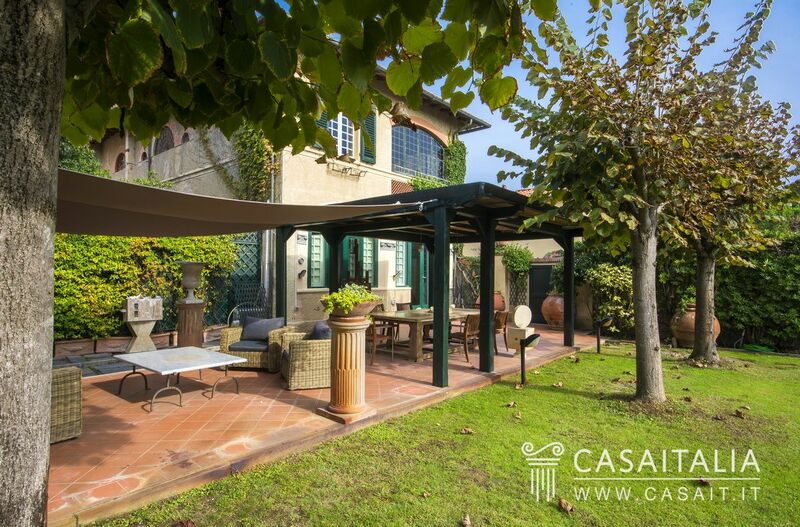 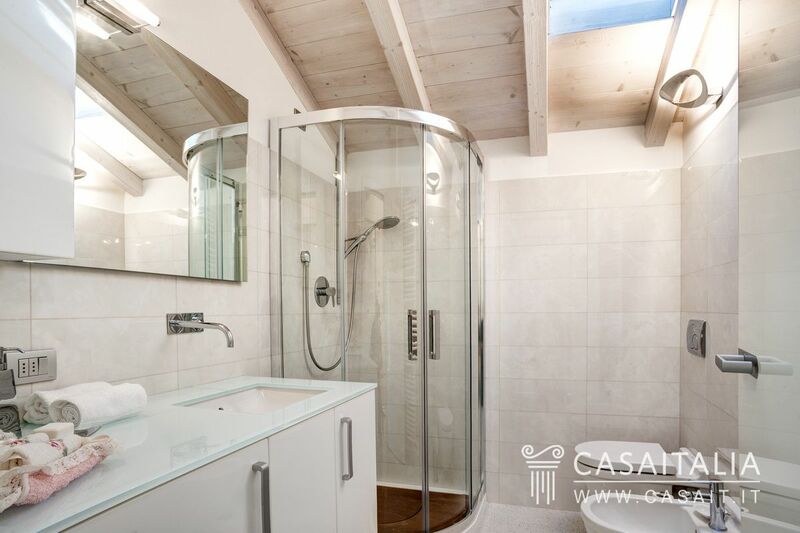 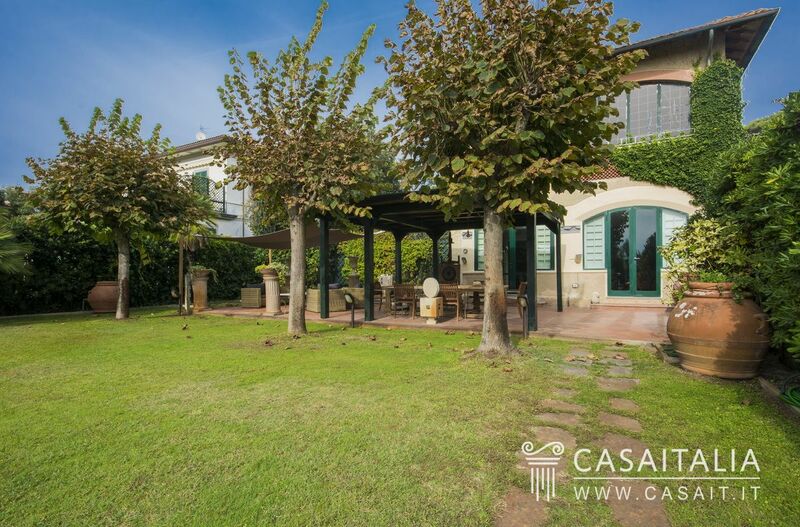 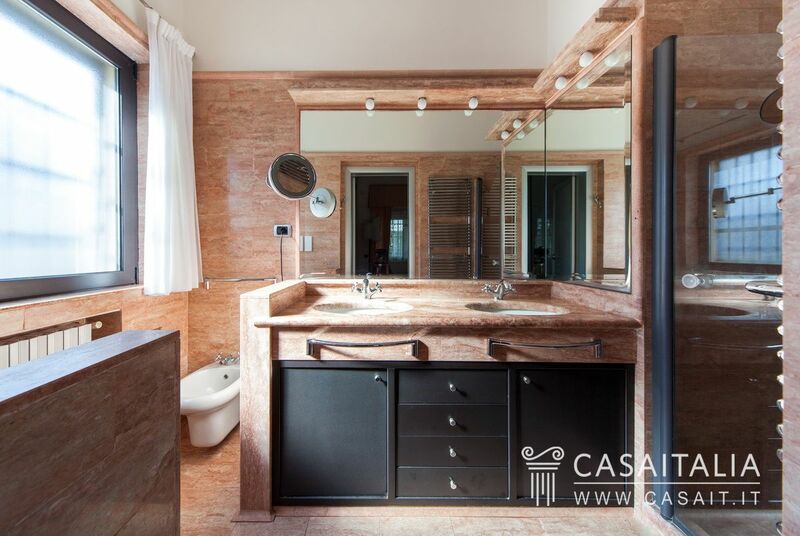 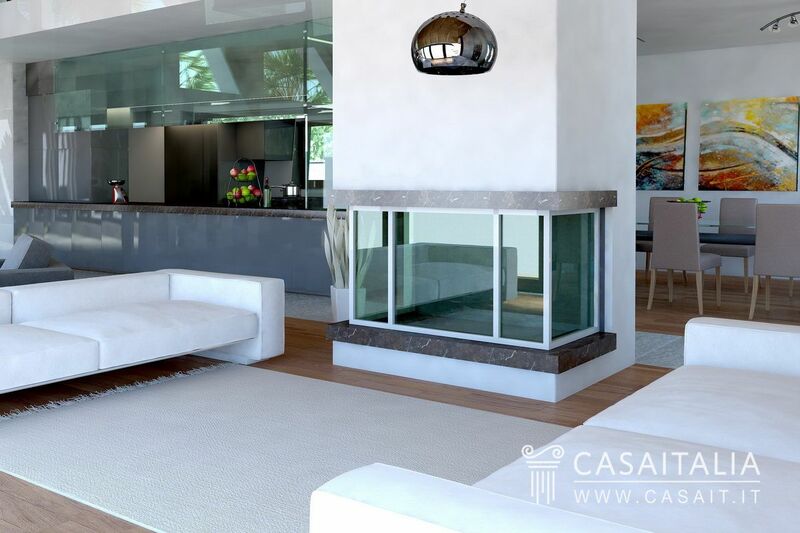 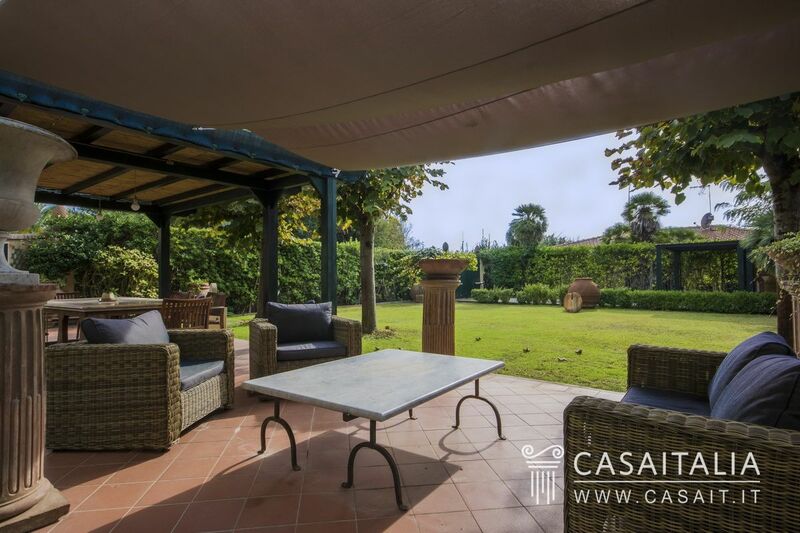 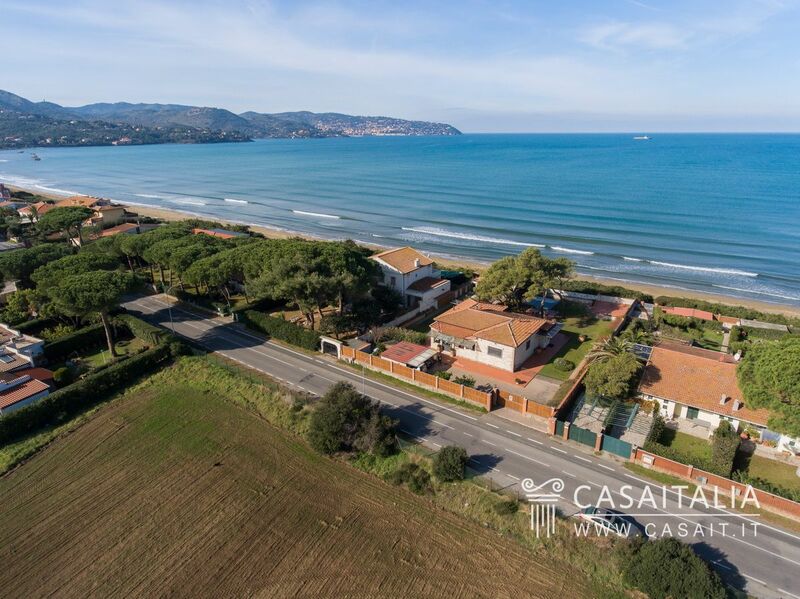 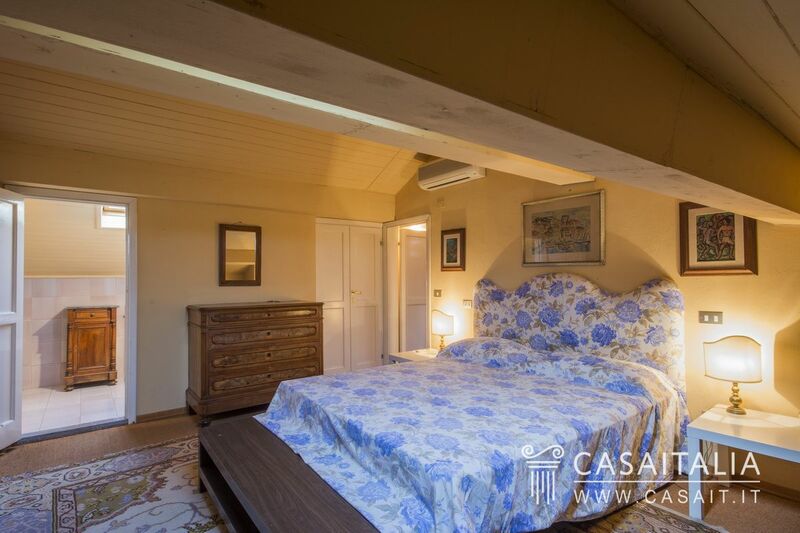 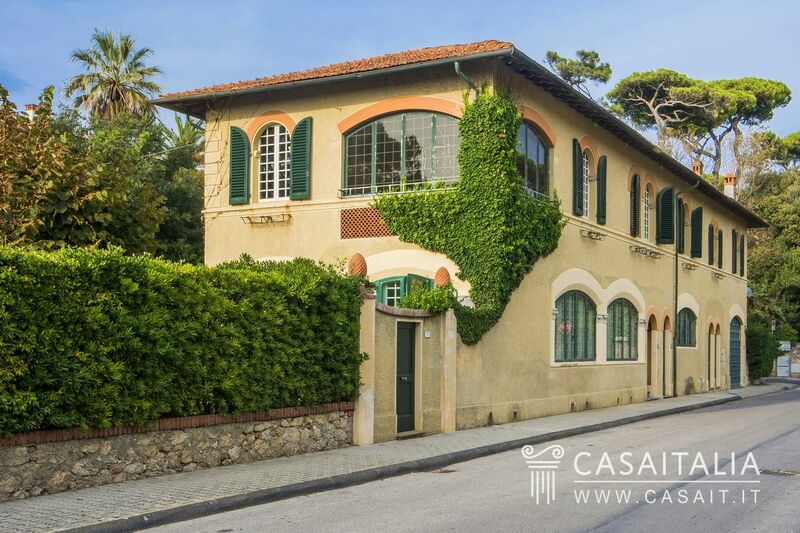 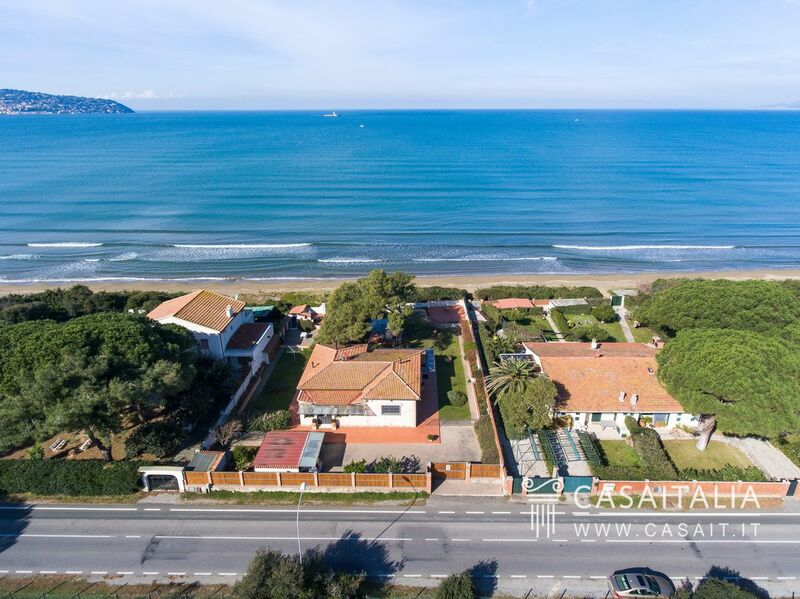 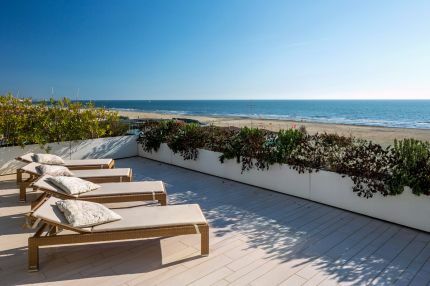 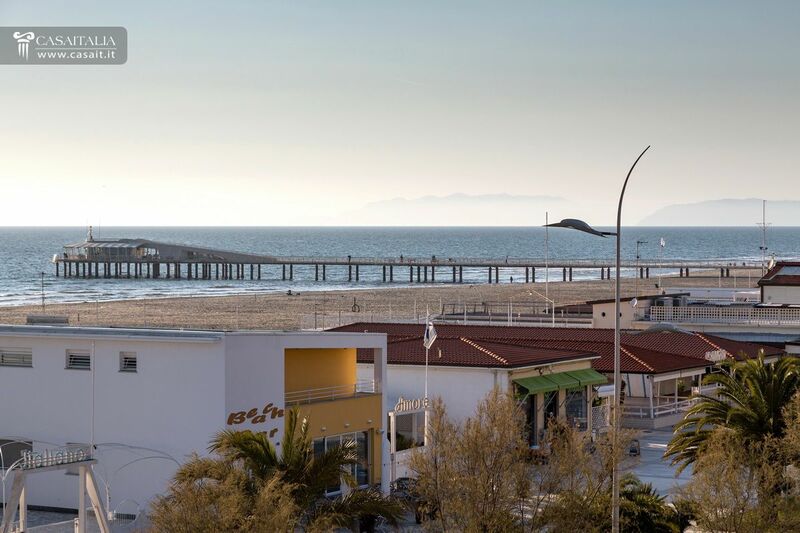 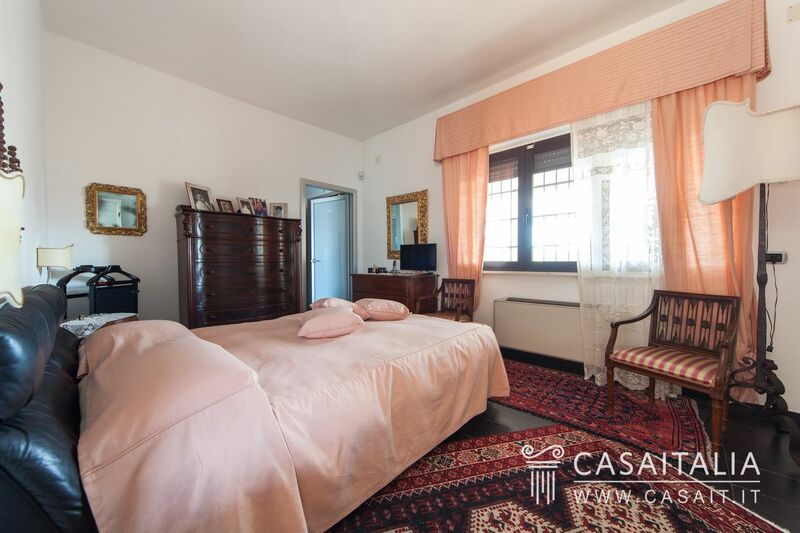 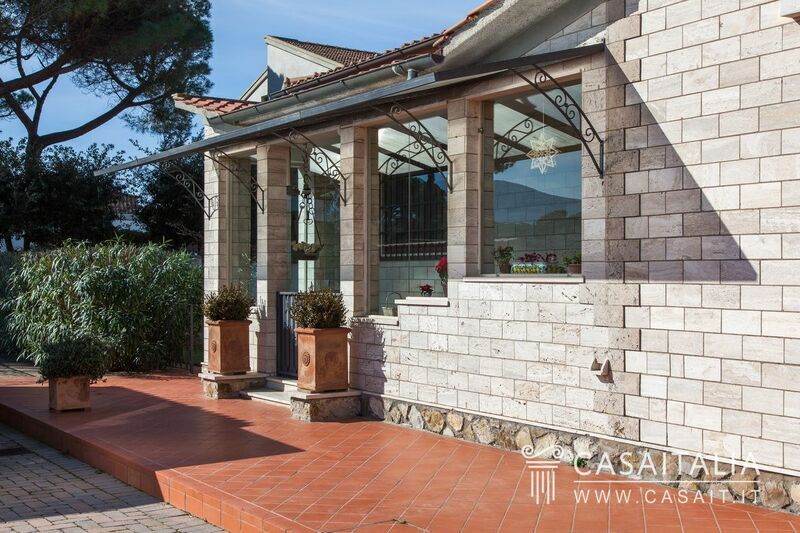 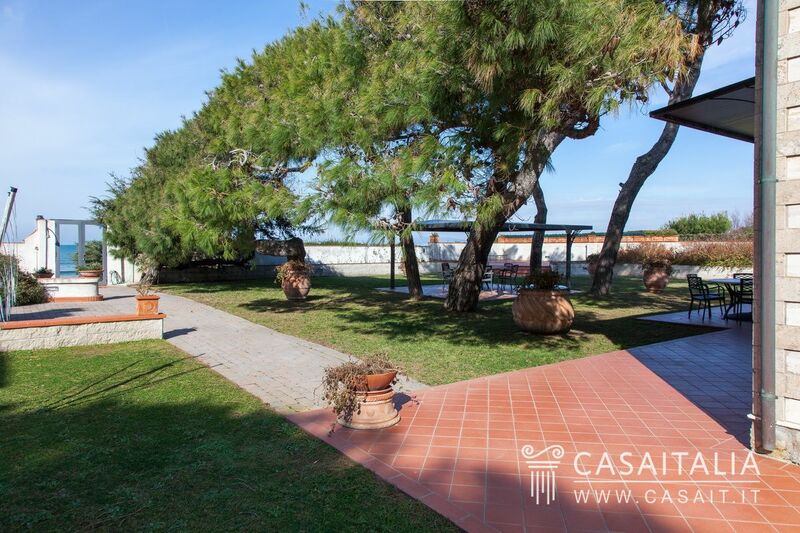 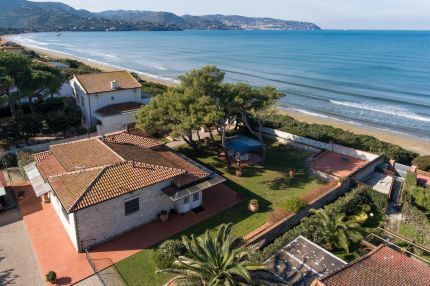 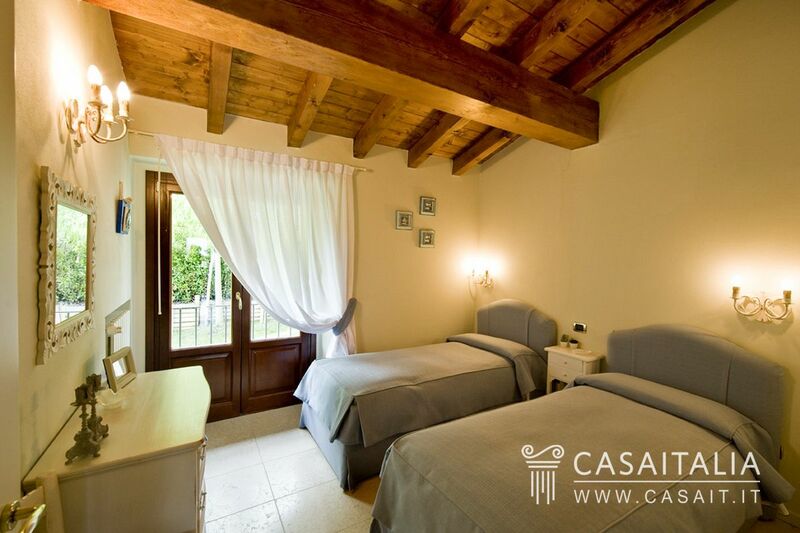 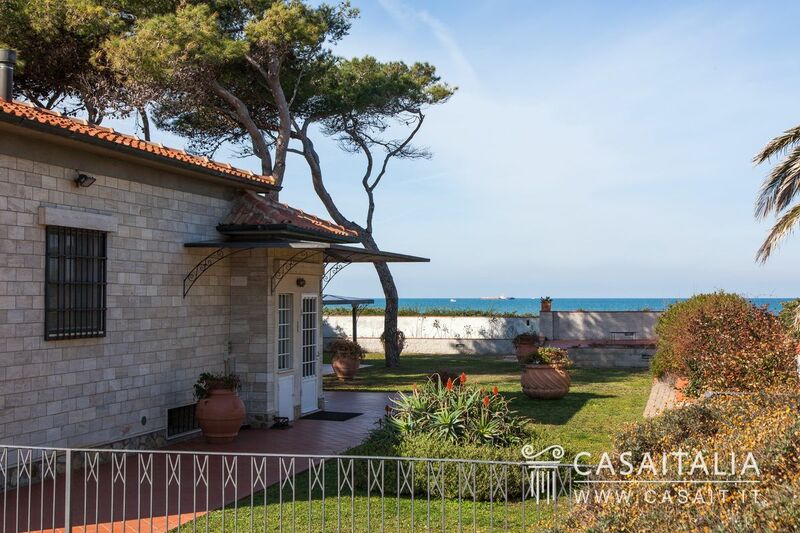 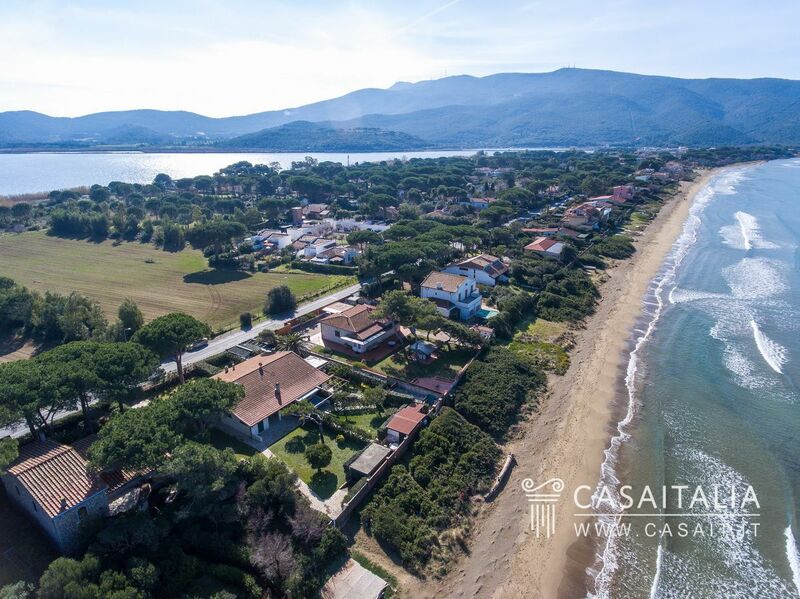 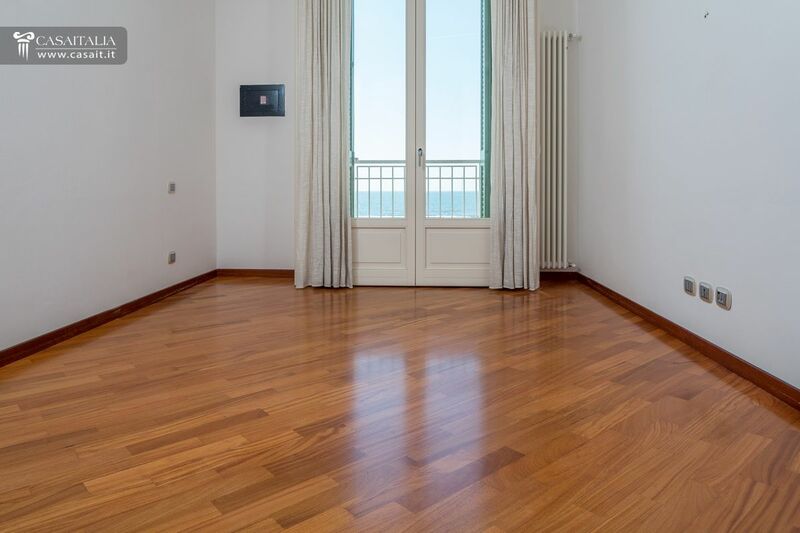 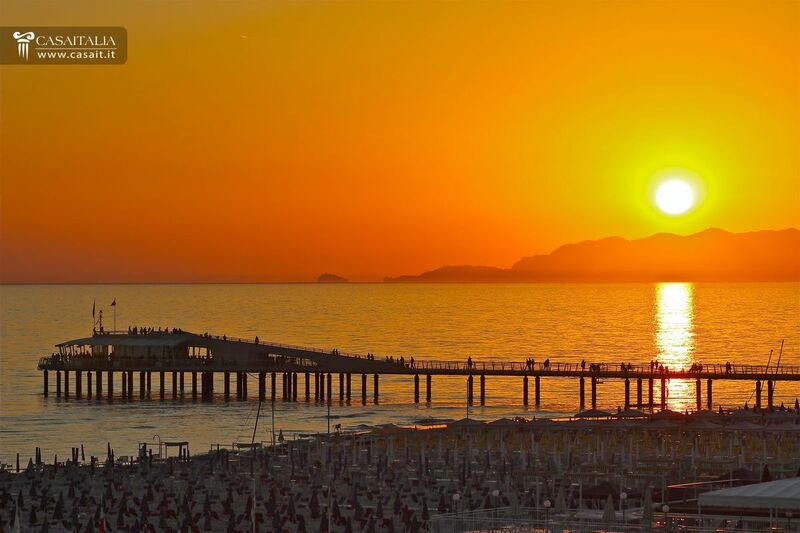 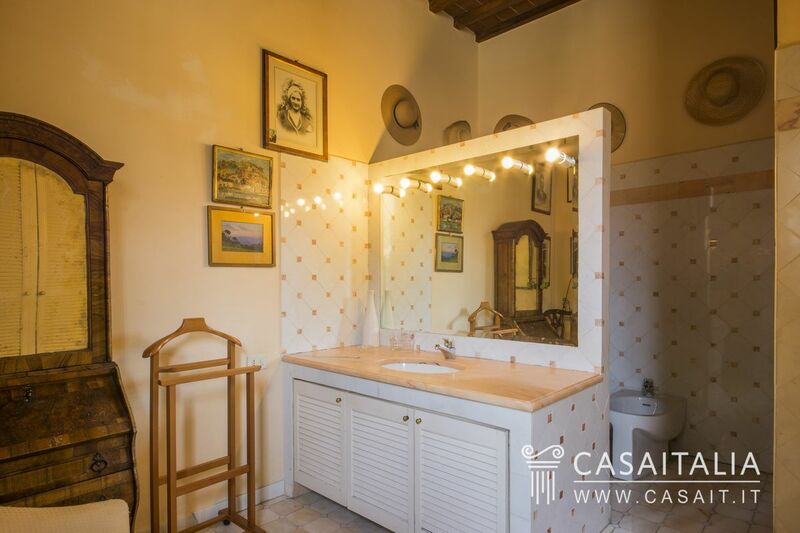 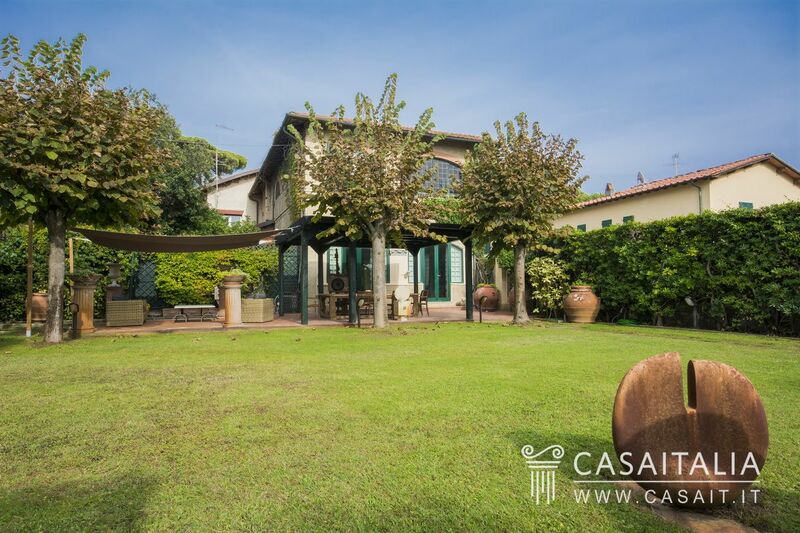 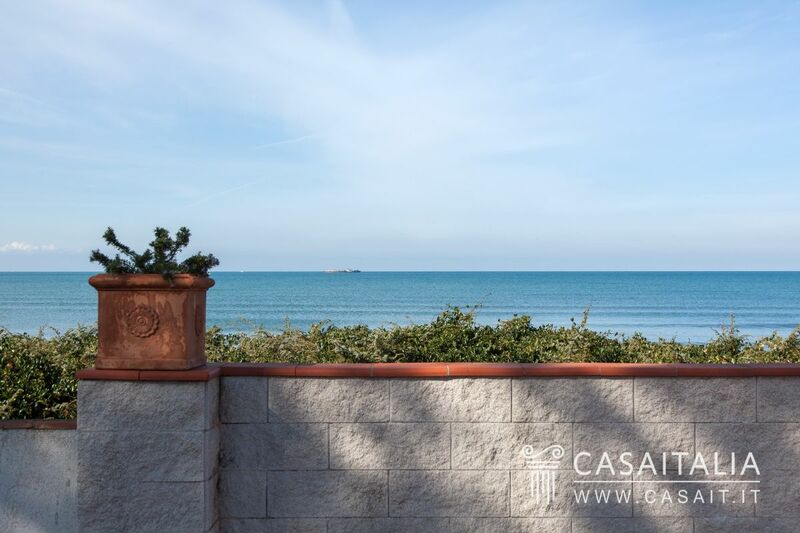 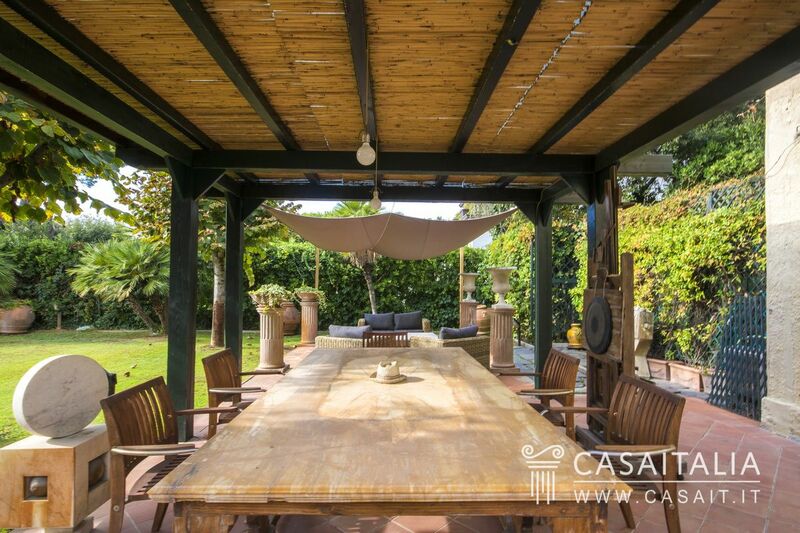 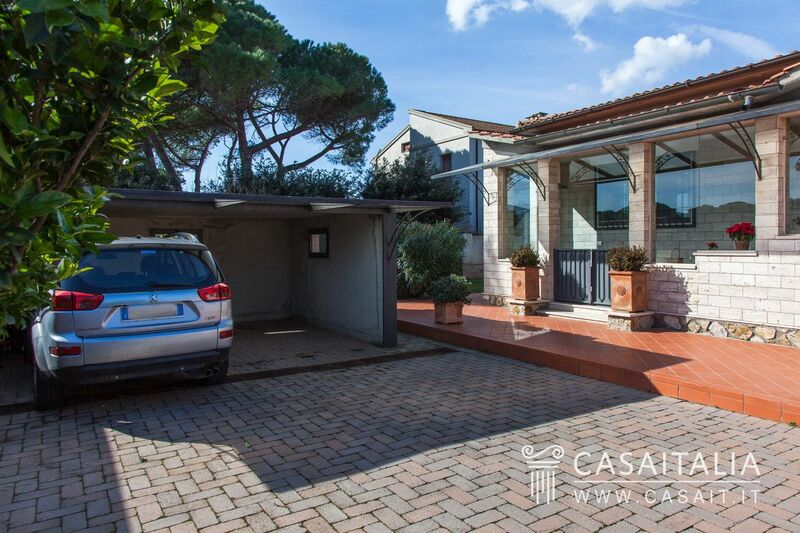 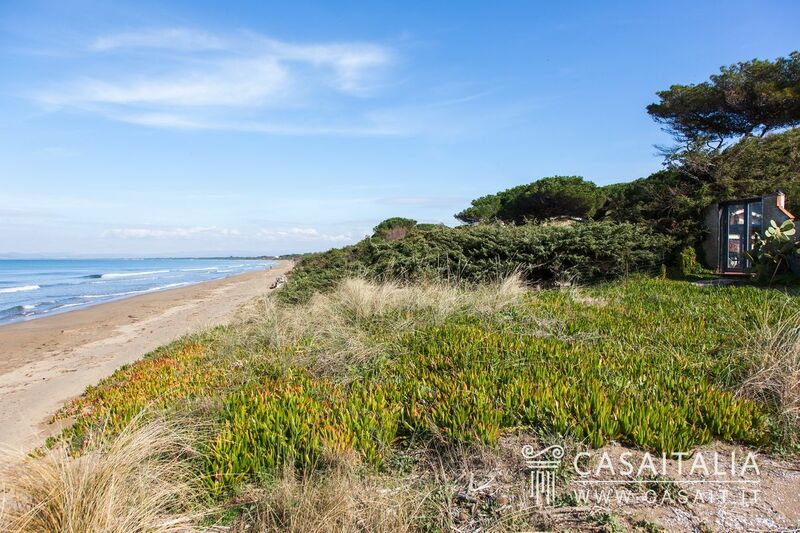 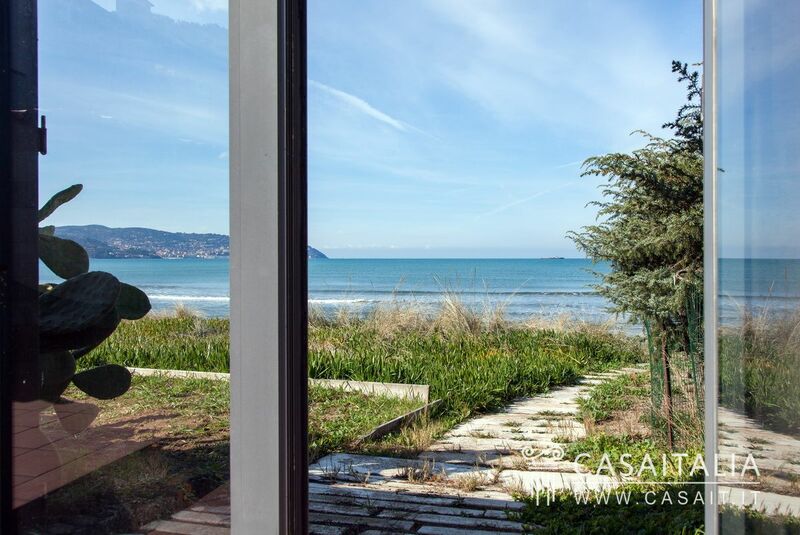 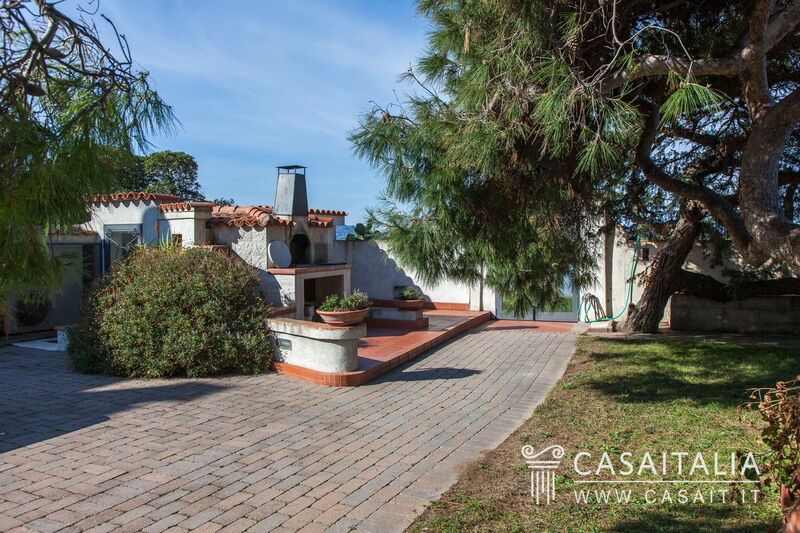 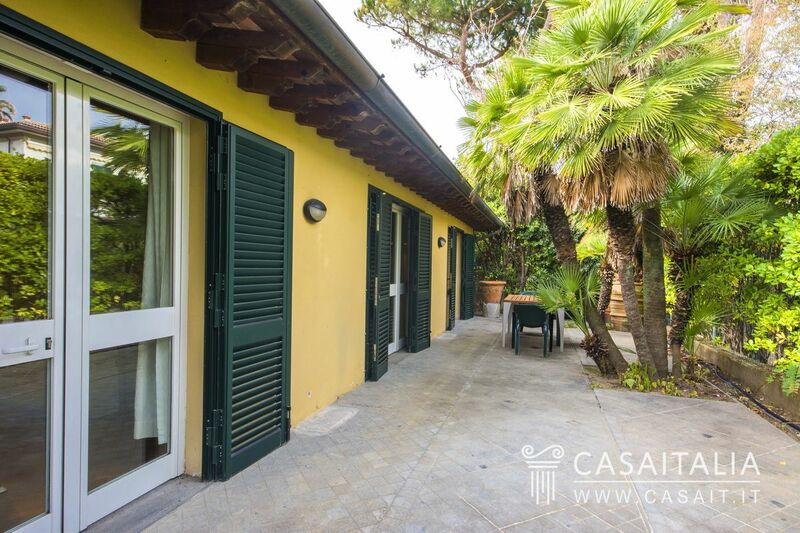 Villa with outbuildings and 300 sq.m garden, for sale on the promenade at Forte dei Marmi, in Versilia. 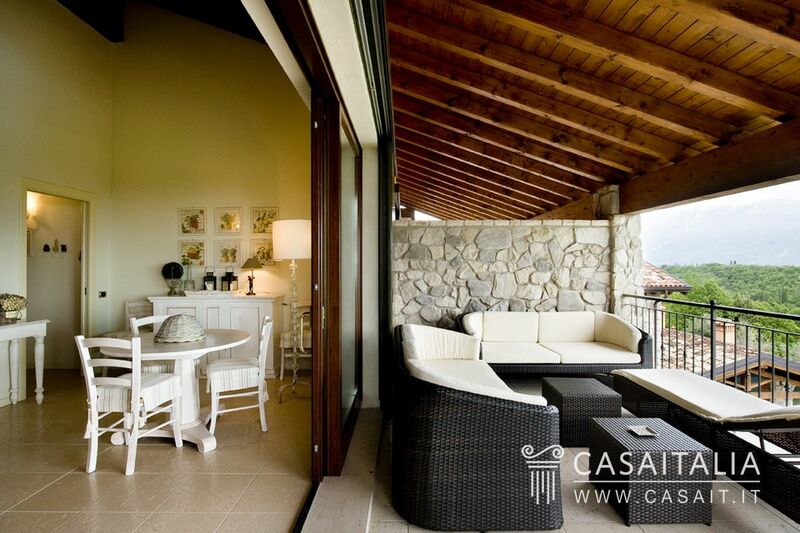 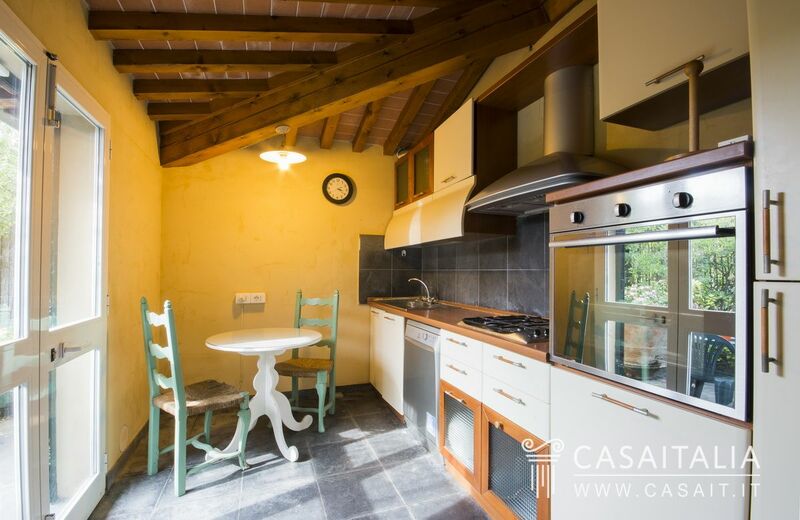 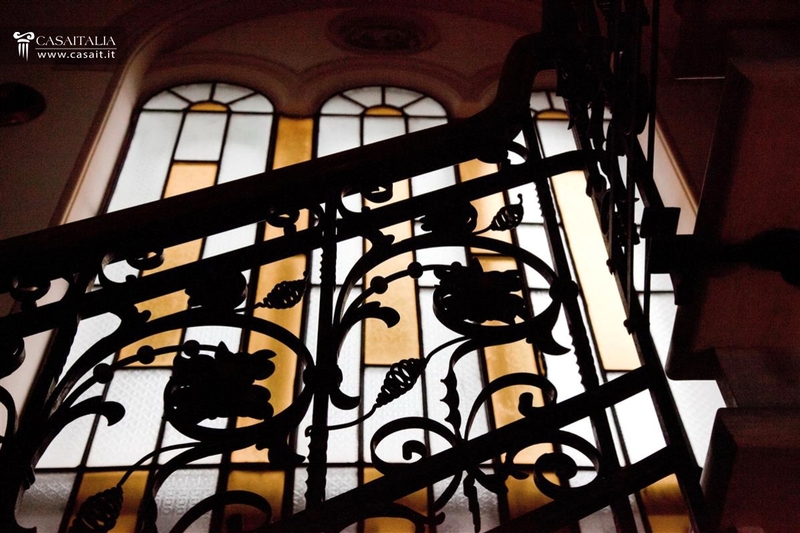 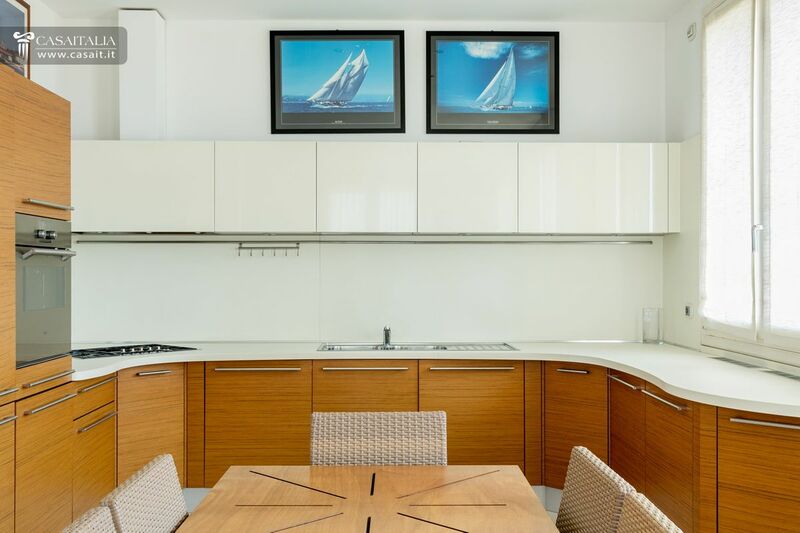 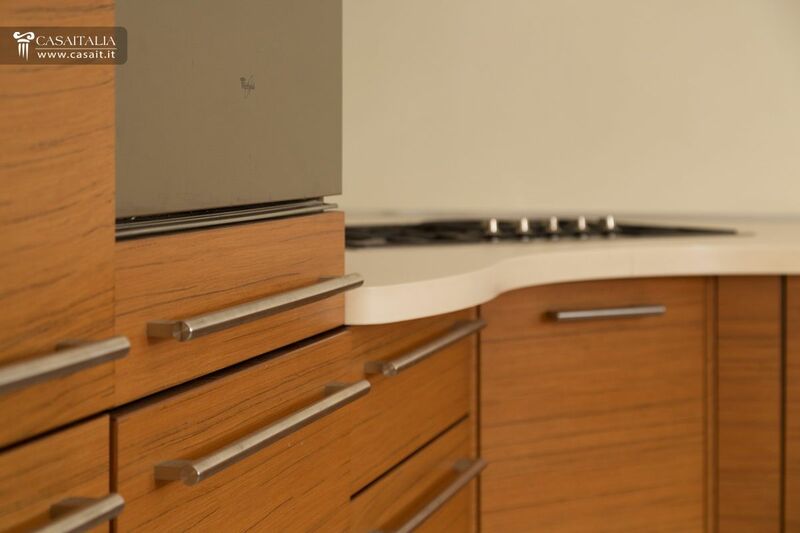 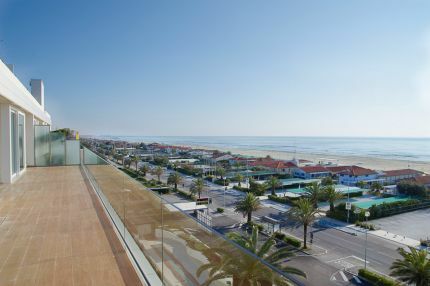 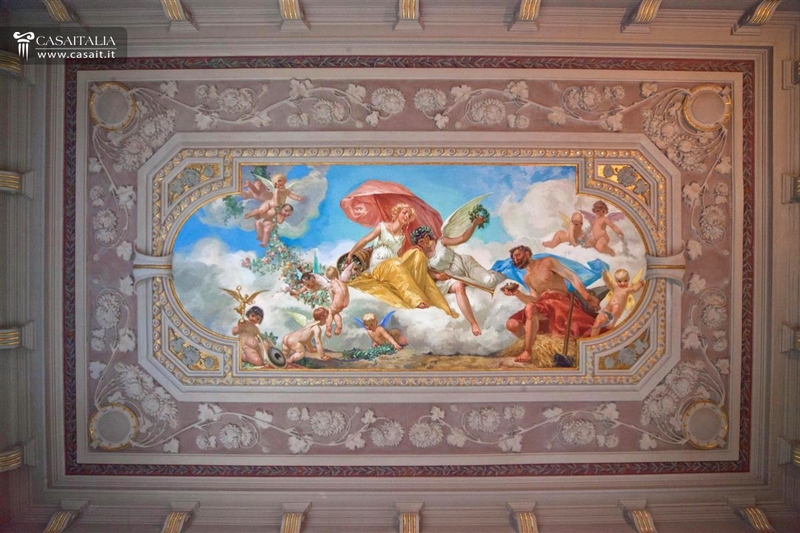 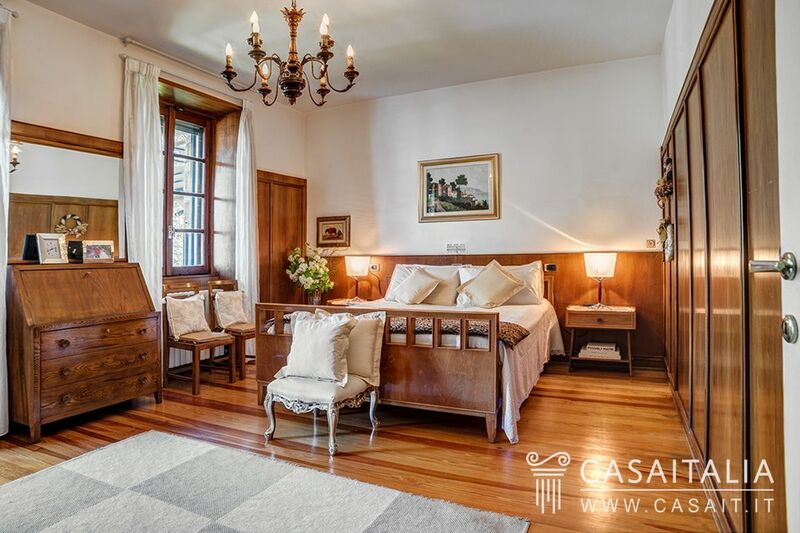 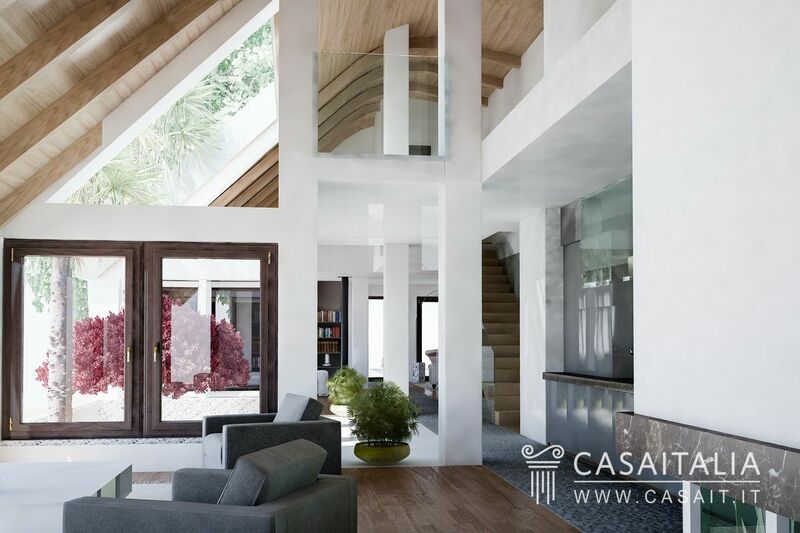 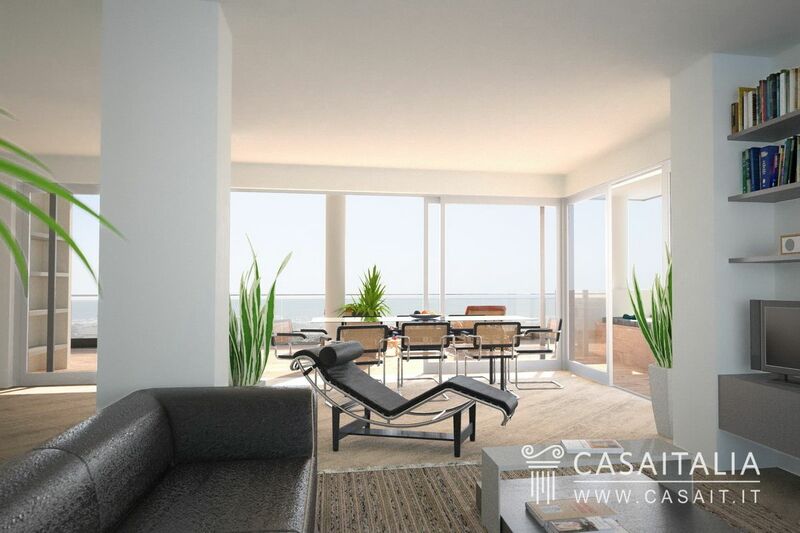 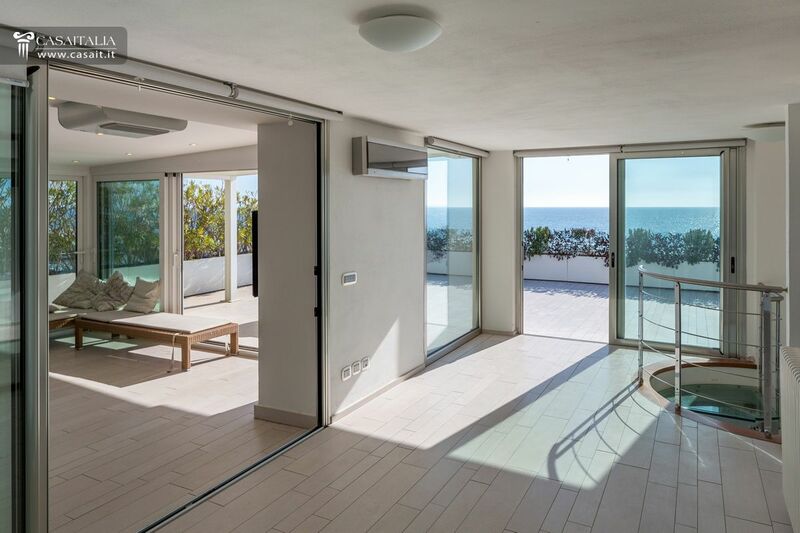 The villa is currently split into two separate apartments of 290 and 140 sq.m. 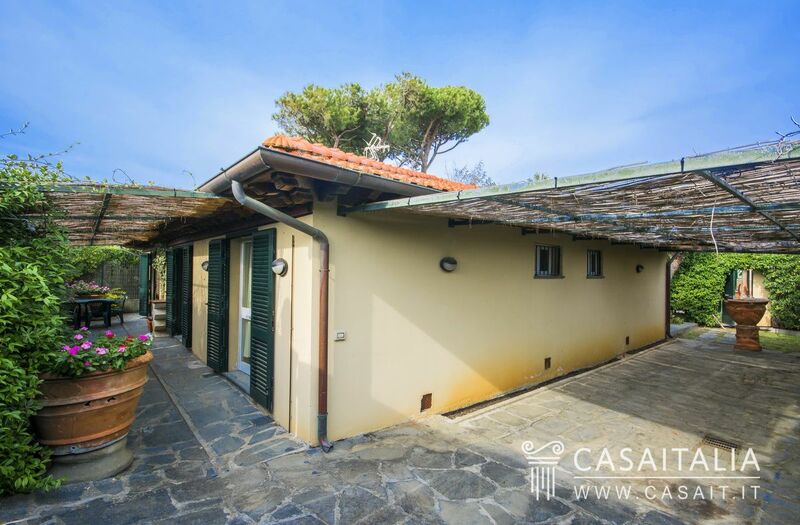 On the property there is also a 128 sq.m outbuilding. 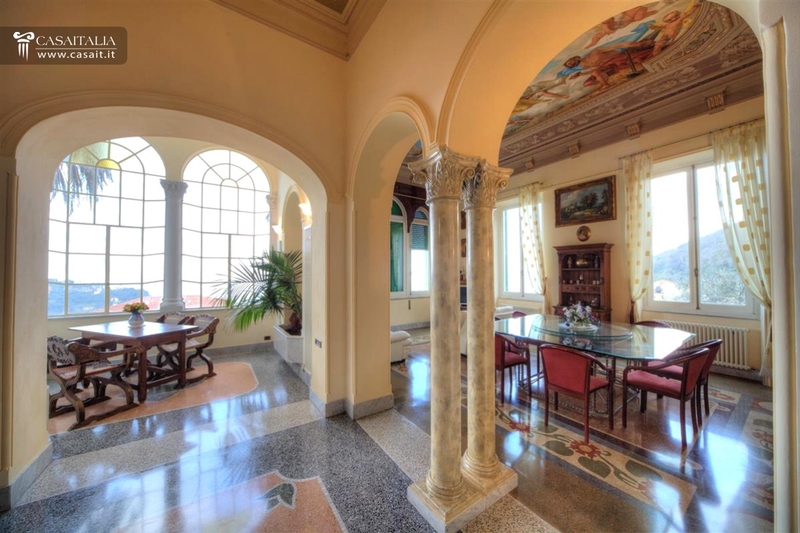 9 bedrooms and 11 bathrooms in total, plus large living space.